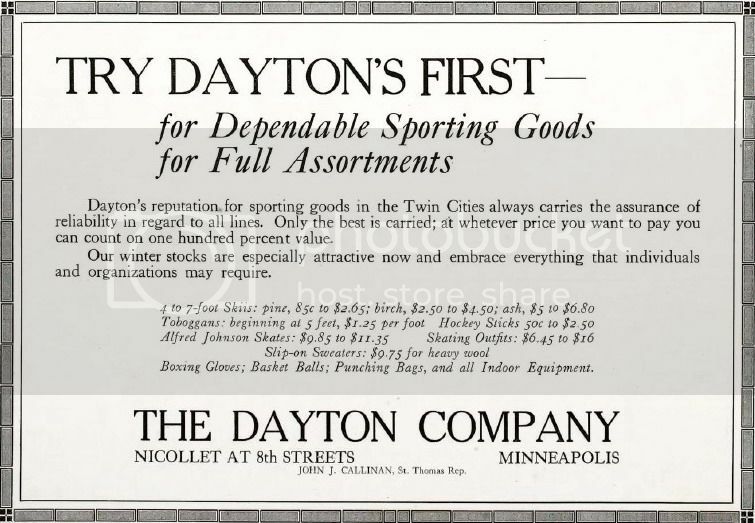 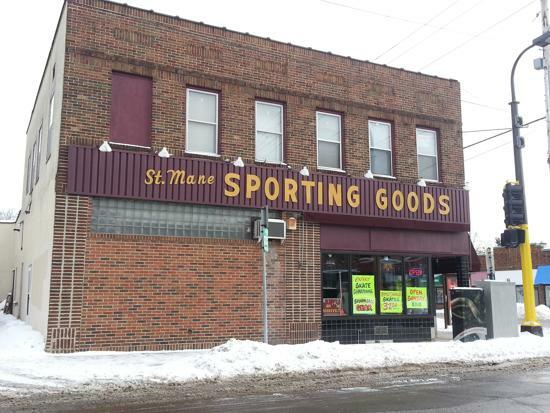 A & B Sporting Goods, Berman's, Pierce Skate Shop, Met Pro Sports, Kokesh, Team Choice, Gold Medal Sports, Steichen's and Dayton's..yes Daytons are just a few of the sporting goods stores within Minnesota that have come and gone. 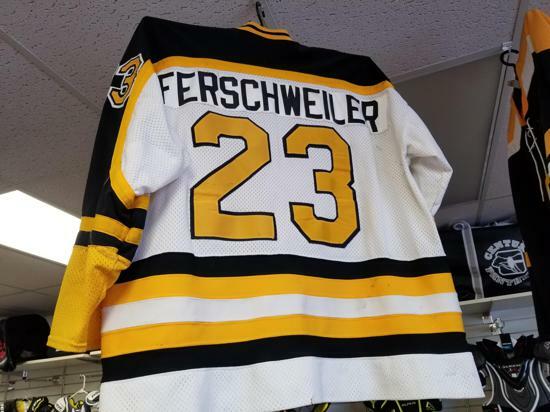 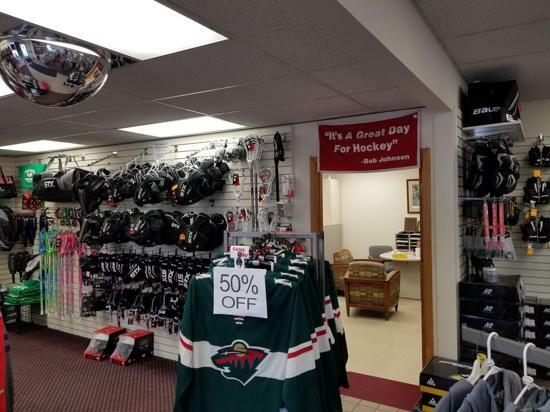 Your local sporting goods store within Minnesotas' rich hockey communities have been the epi-center to youth teams, State Championships, and are the place where everyone knows your name. 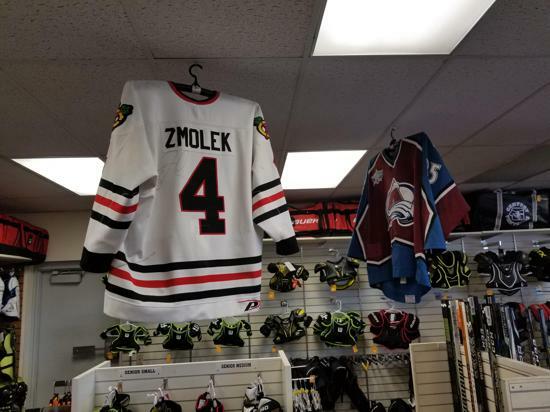 Just think of being a youth walking into your local sporting goods/hockey supplier and the owner and employees know your family, name personally, Coaches and team you are playing on. 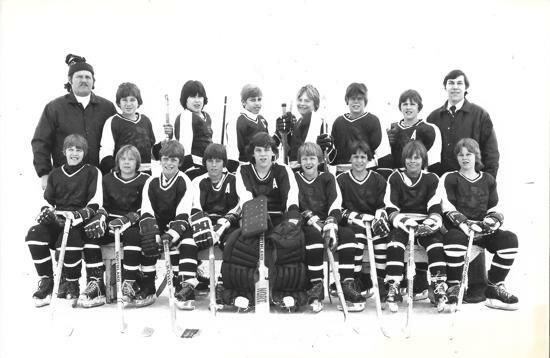 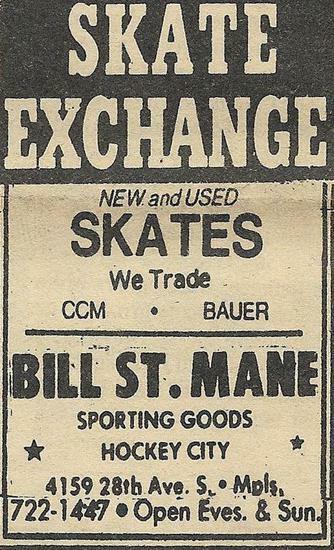 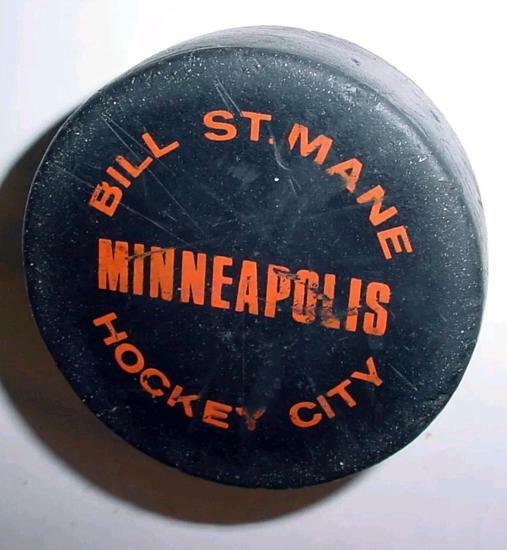 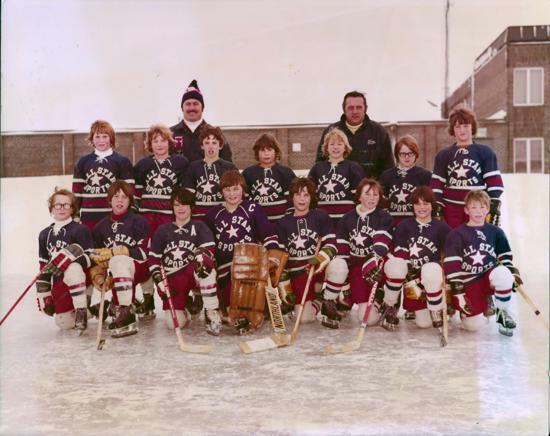 What would Minneapolis hockey be without Bill St. Manes? 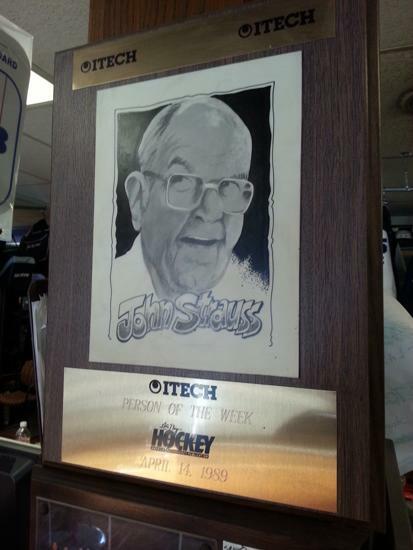 St. Paul Johnson hockey without Strauss? 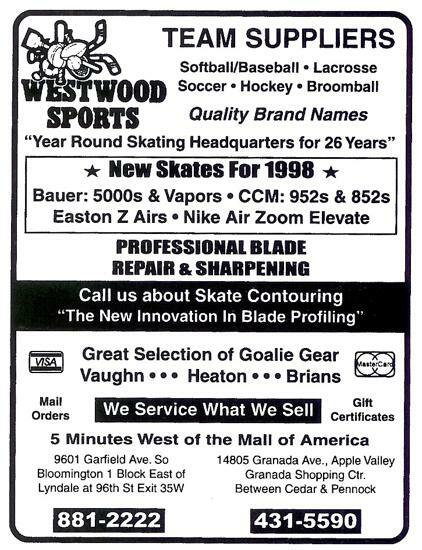 Bloomington Jefferson hockey without Westwood Sports? 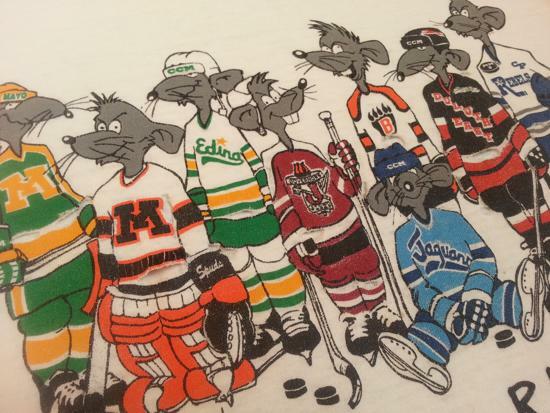 Or Edina Hornets without General Sports? 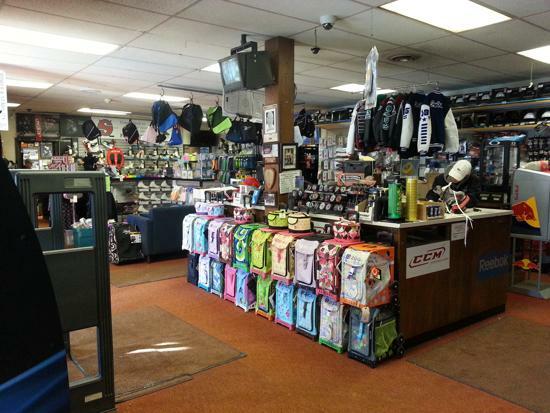 It's due time to pay tribute to our local sporting goods shops - where as Norm at Cheers -"Everyone knows your name", truly cares about the community you live in, is a family owned shop, and give back locally! 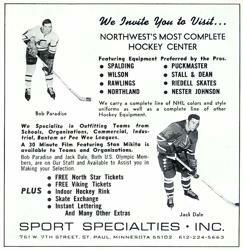 These are the places that have outfitted our Youth, Collegiate teams, Olympians, NHL'ers alike - and even helped Disney film a movie! 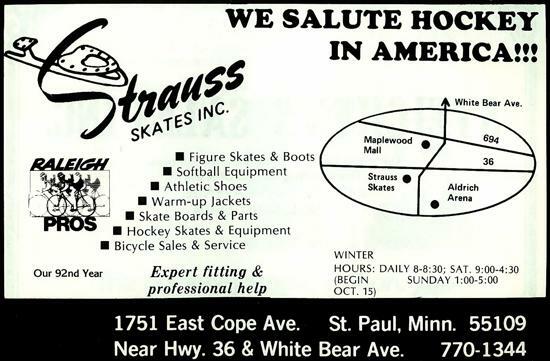 Thanks for all that you do, service, and continue fighting the good fight against the big-box hockey shops and on-line retailers alike. 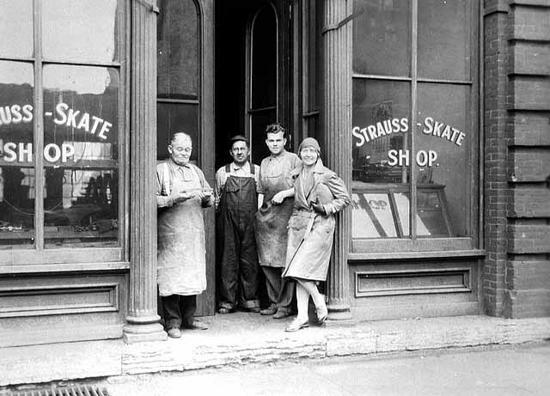 Please patronize these local family owned shops before they too become a thing of the past- like the legendary Steichen's and others mentioned above. 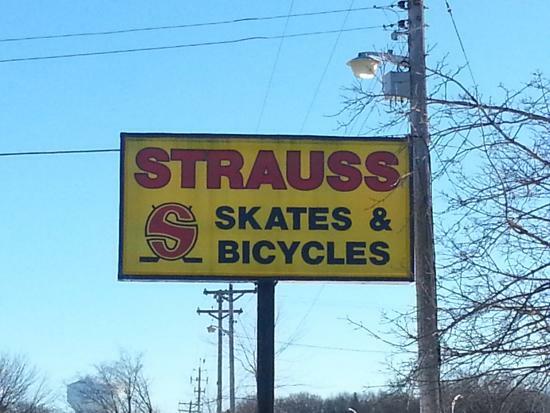 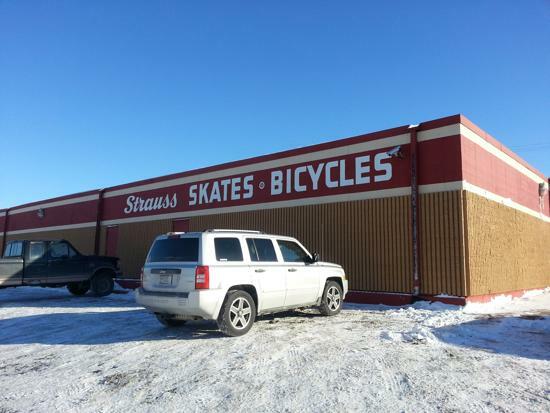 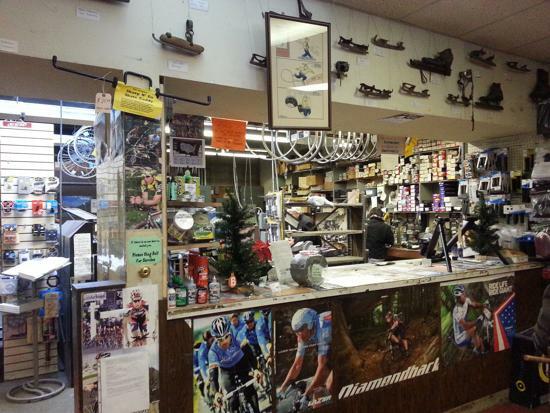 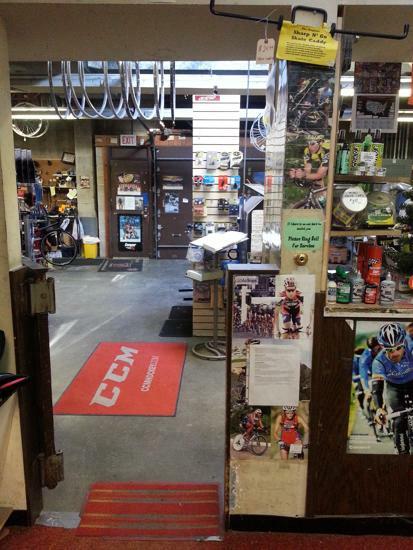 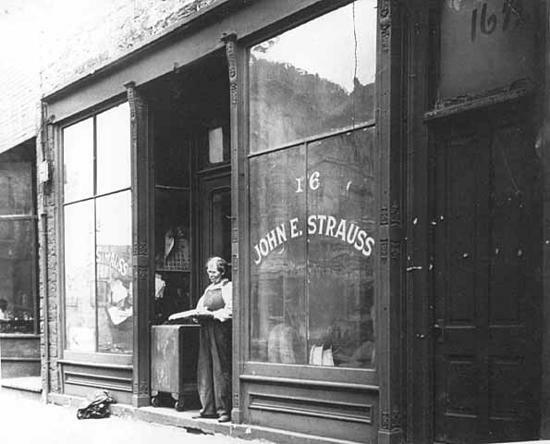 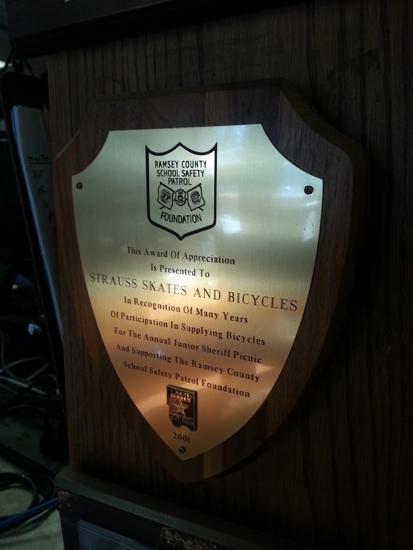 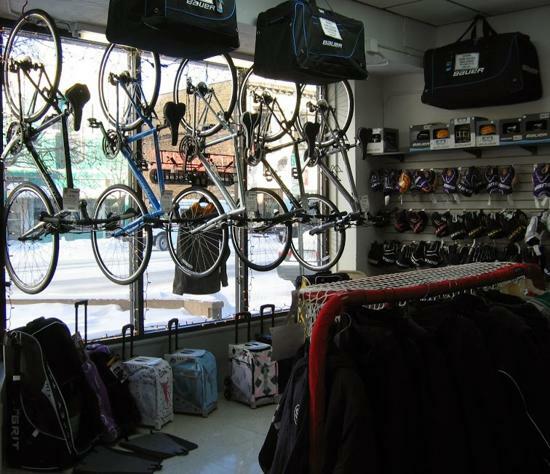 Strauss Skate & Bicycle has been family owned and serving the St. Paul community since 1887. 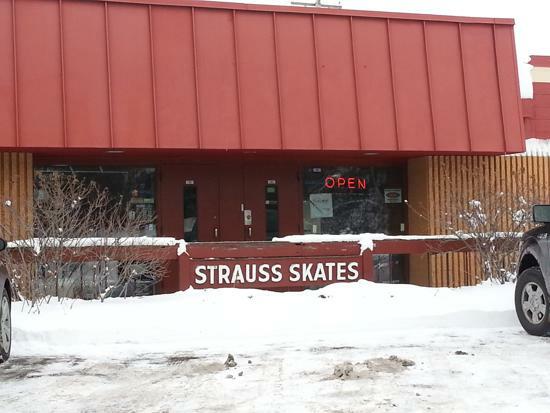 Strauss is the oldest skate shop in Minnesota, and very likely the oldest sporting goods store in the country that is still in operation today! 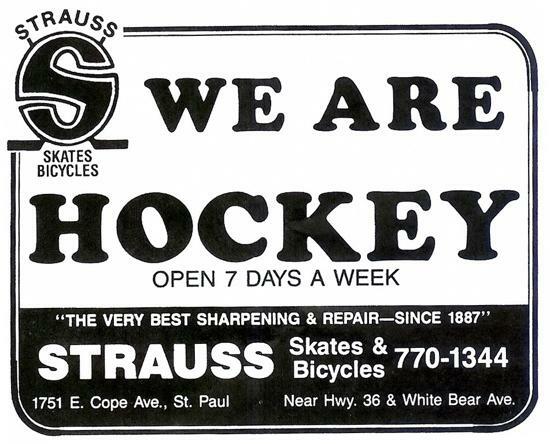 Strauss has a lot of older history hanging from the walls in the form of old vintage skates, sticks and plaquards that remind us of a Terrence Fogarty painting - come to think of it one of Fogarty's paintings WAS modeled after the sharpening room/bike shop within Strauss called Black or White (shown in images), that also was the cover art on the 1999 Girls State Hockey Tournament program. 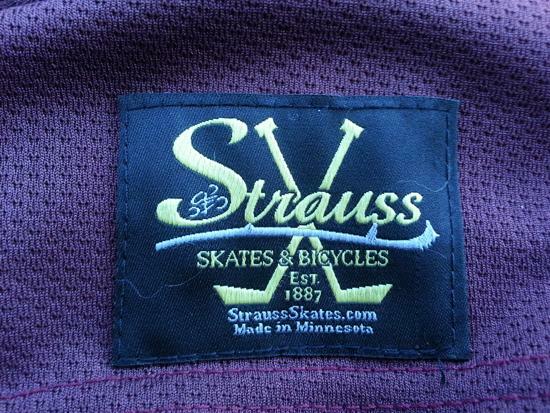 Strauss truly is hall-of-fame! 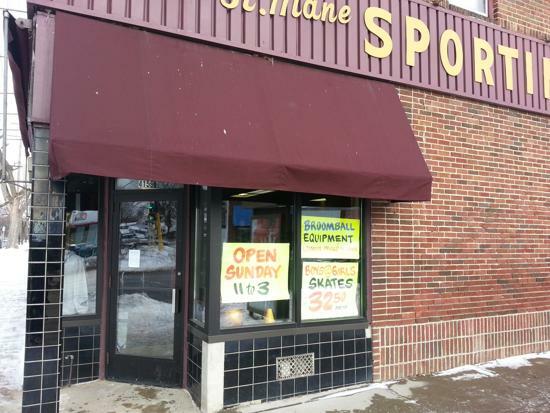 Bill St. Mane is a family-owned and operated business providing sports equipment for Minneapolis and the surrounding areas for over 50+ years. 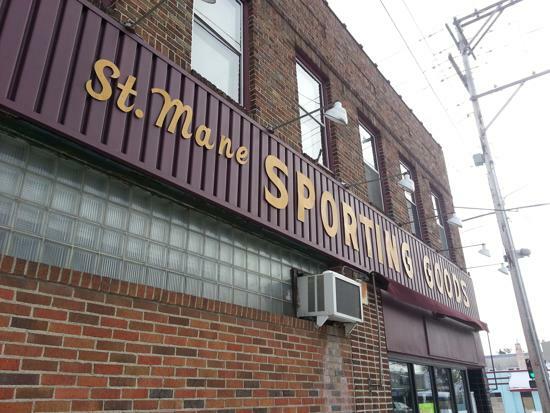 Lying directly behind Minneapolis Roosevelt High School, St. Manes was the inspiration and scenes from Disney Movie The Mighty Ducks were filmed on-location within St. Manes. 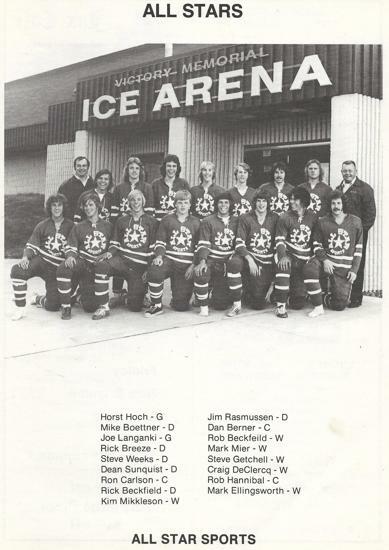 The 1980 Miracle on Ice jerseys were additionally lettered and numbered within the walls of St .Manes as well. Acclaimed artist Terrence Fogarty used St. Manes as the inspiration for his painting called Main Street that was a fictional scene in Eveleth with Miners National Bank next door. 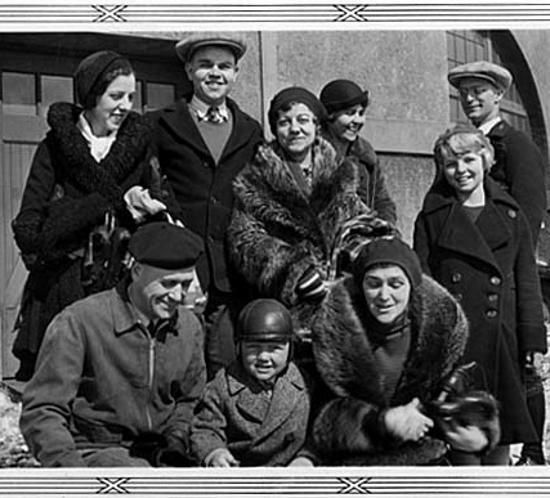 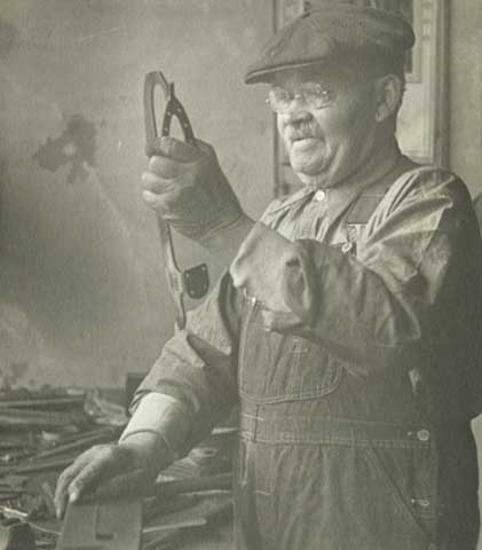 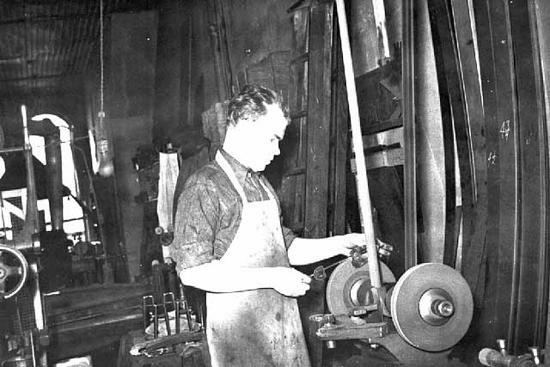 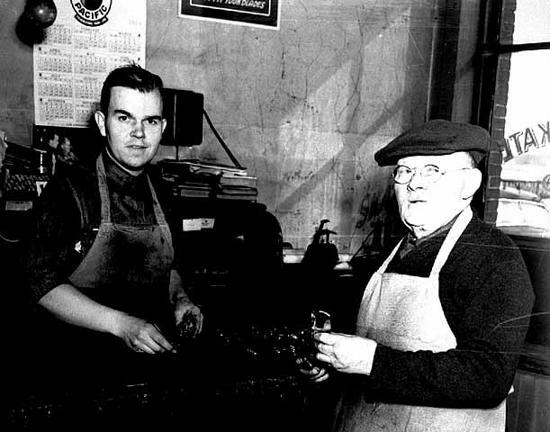 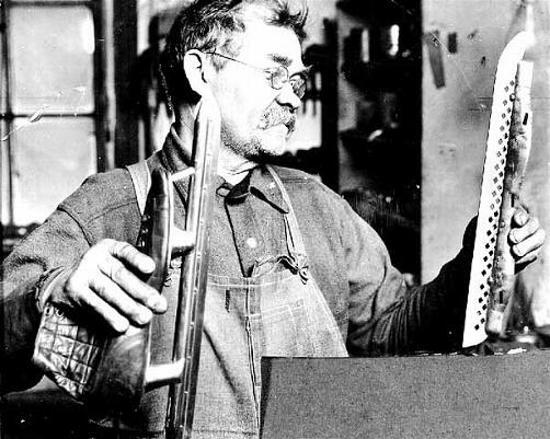 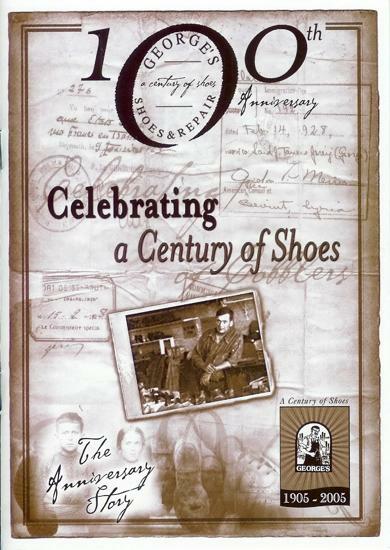 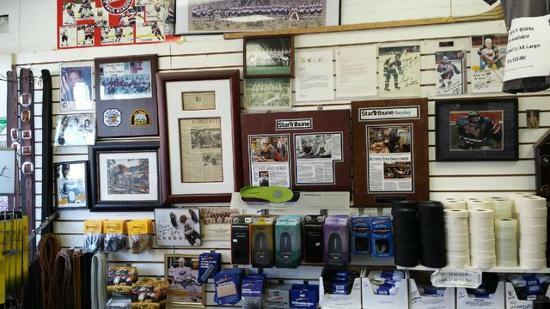 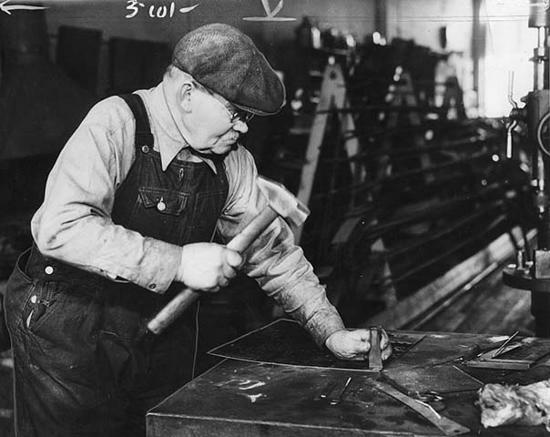 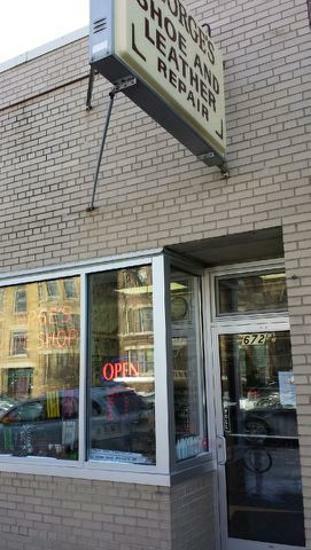 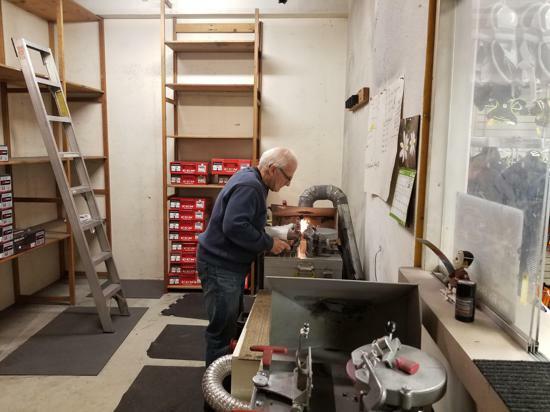 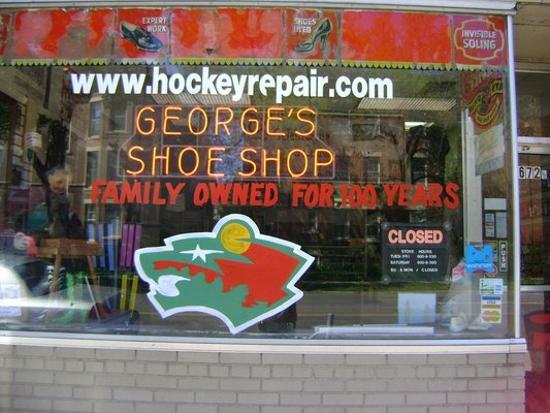 Georges Skate & Shoe Repair has been a family owned and operated business for over 100 years. 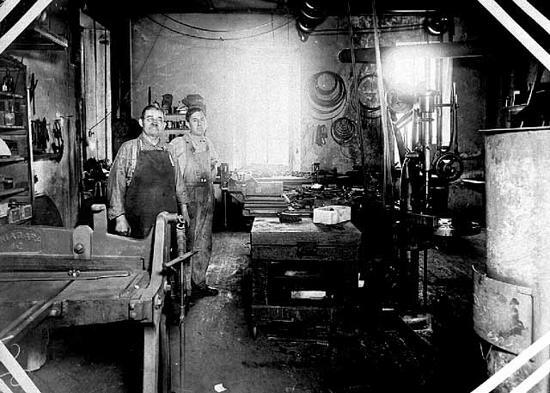 Starting in 1905 with a custom boot making shop in Toula, Lebanon, Joseph George started a traditon of craftsmanship that is now entering its fourth generation. 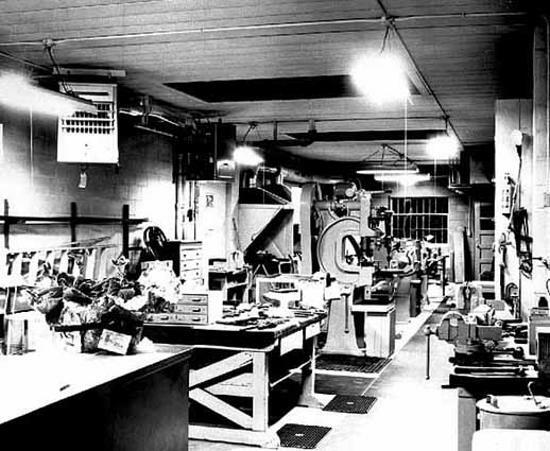 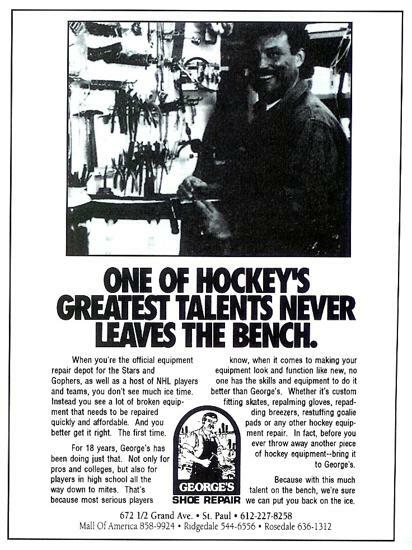 In the 1970's Jerry George expanded the shoe business to include sporting equipment repairs. 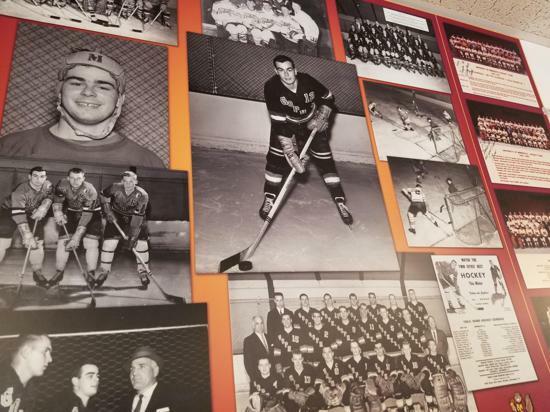 Since then, George's has worked for everyone from mites to professional athletes. 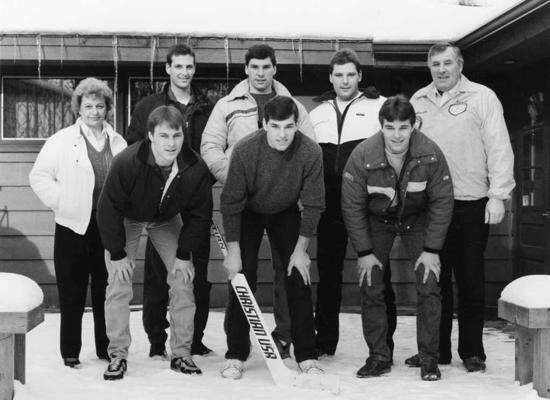 Jerry George was recruited to be a technical advisor during the filming of Mighty Ducks II. 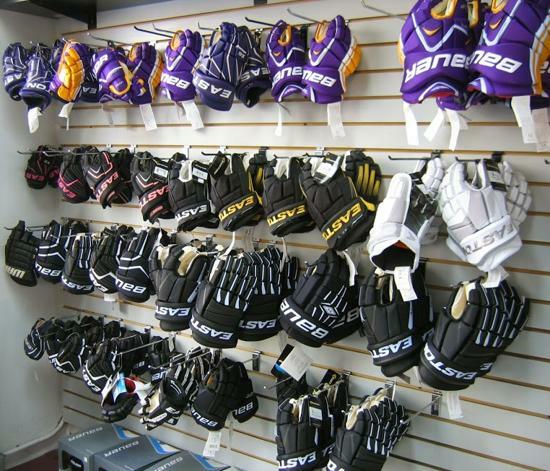 George's services hockey equipment repair nationally for teams and individuals. 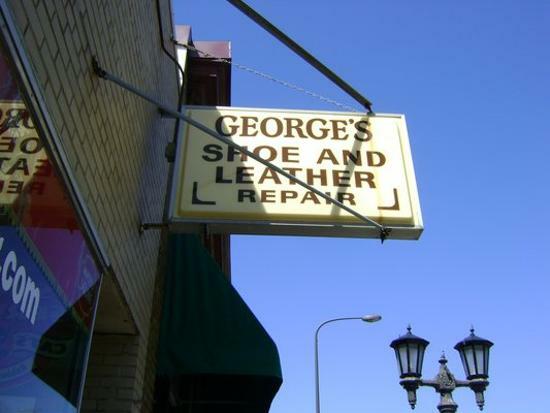 George's Shoe and Skate Repair is owned by Jerry George and his sons Brian and Dan. 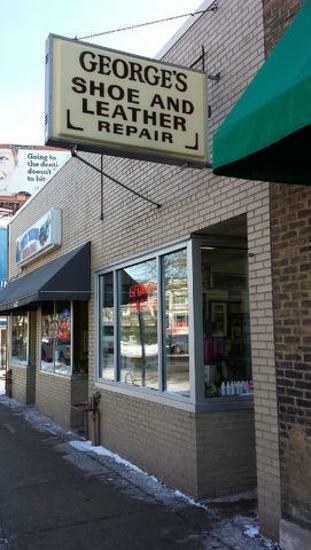 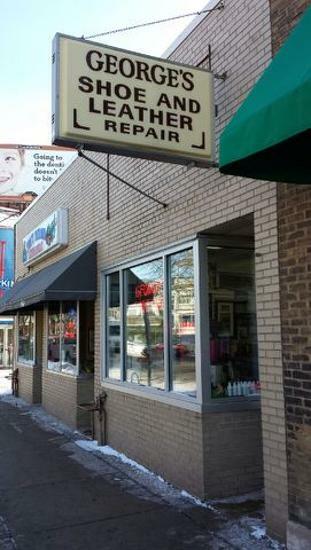 They are located on Grand Avenue in St. Paul, Minnesota. 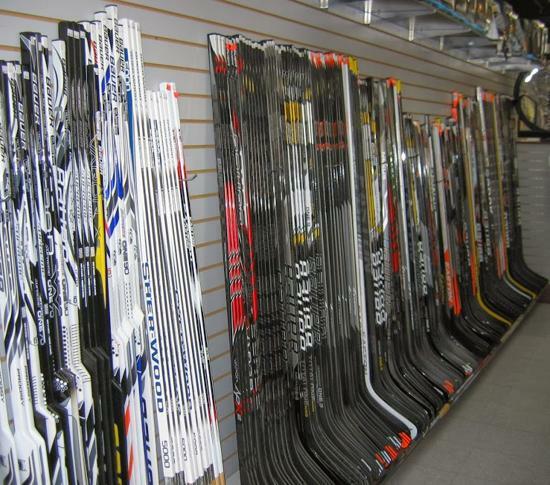 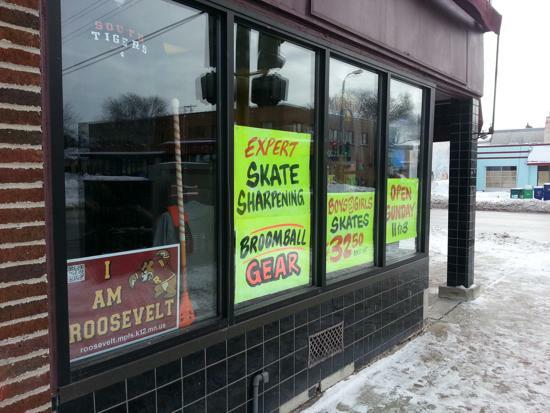 While not a "hockey shop" in the sense where you can purchase; sticks, skates, tape, etc. 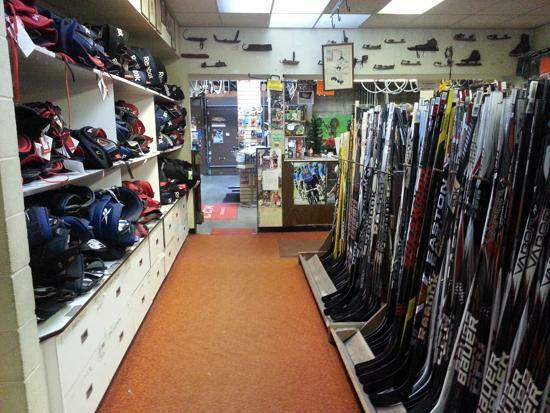 it is still a historic hockey shop in the sense of it's services and years of operation and deserves to be mentioned in local hockey shops. General Sports has been in business since 1962 servicing the local communities of Minneapolis/St. 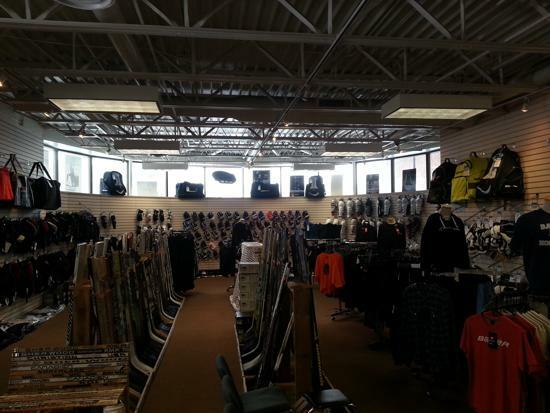 Paul/Edina with the best products and services in sporting goods industry today. 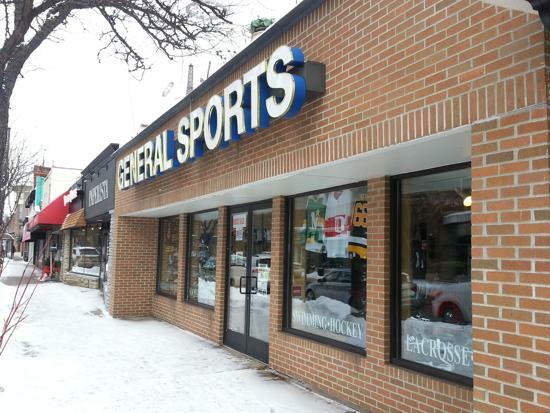 General Sports Corporation is a diverse company offering retail sporting goods, corporate sales, team uniform and apparel import expertise. 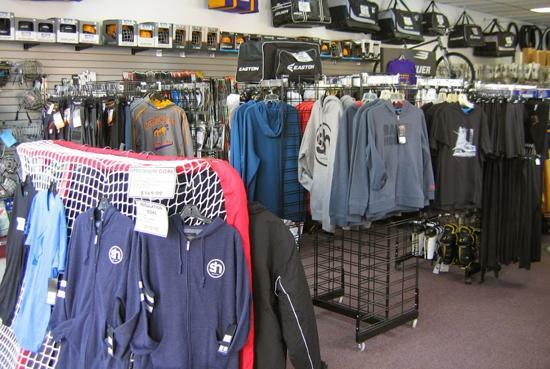 They provide the sales professionals with specific knowledge to fit a player with the proper sports equipment, outfit a team for their uniform or spirit wear apparel, create an unique logo for a group project, put together a corporate gift program for that next sales conference or import the latest fashion apparel piece from our oversees manufacturing facilities. 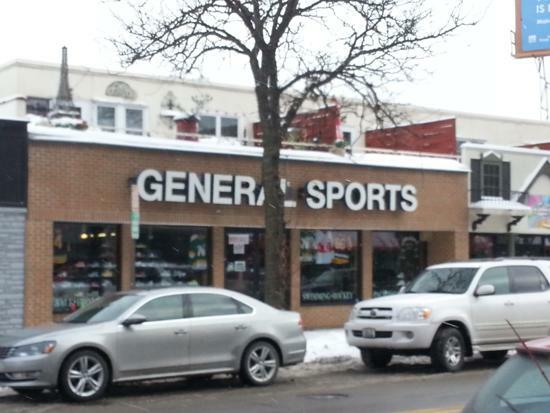 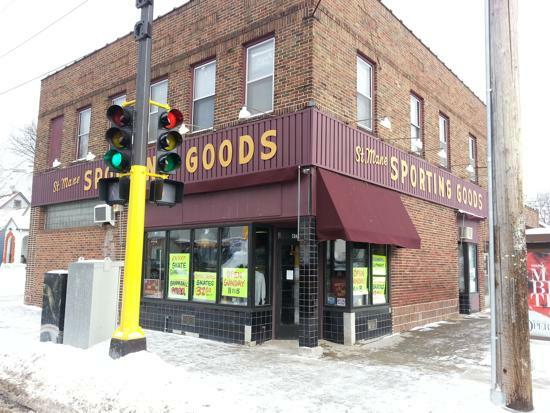 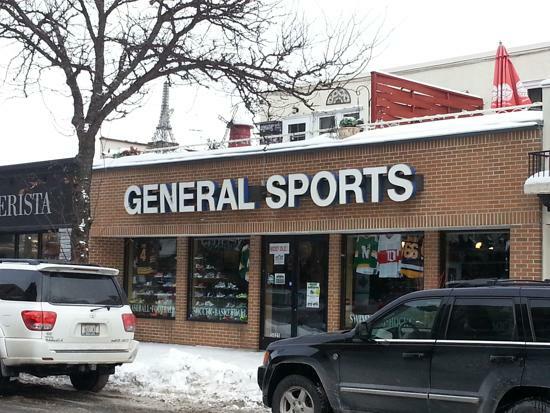 General Sports is located on France Ave on the "Minneapolis side" of the street, as France Avenue is the slip between Edina and Minneapolis. 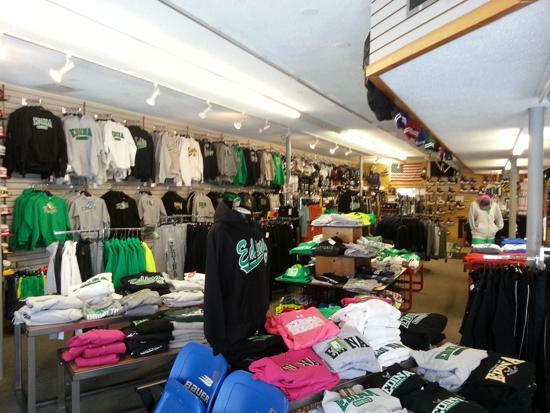 It is the unofficial home for all things Hornets, with Edina kelly and gold gear, shirts, hoodies, etc lining the racks within the store. 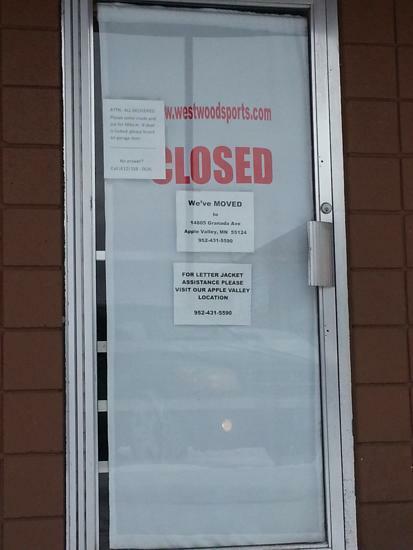 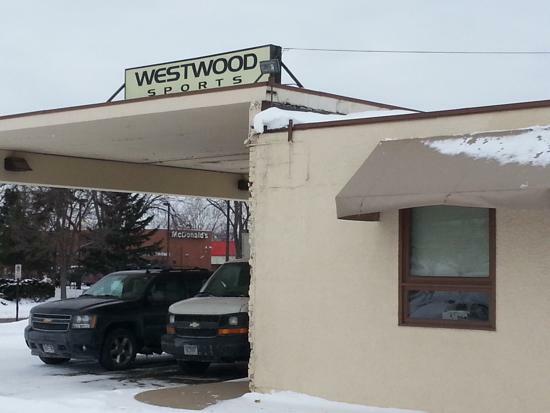 Westwood Sports has been in the sporting goods business for over 50 years. 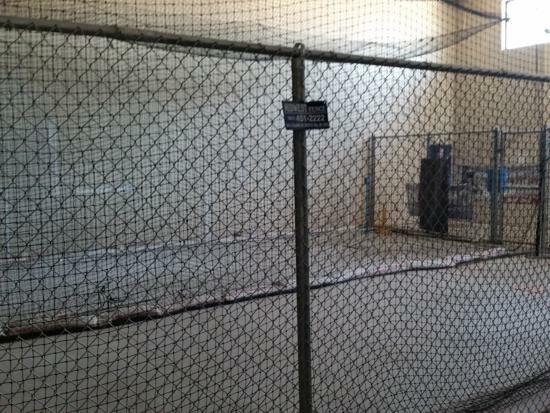 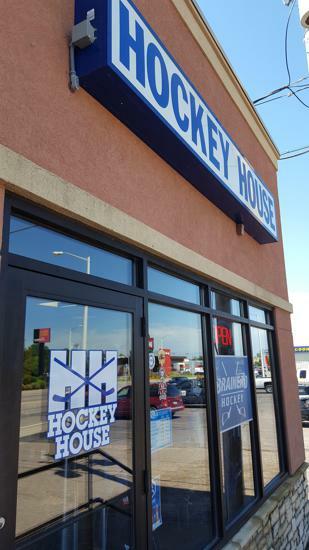 With a passion that can only be found in a family run business, they specialize in hockey, figure skating, lacrosse, baseball, and softball. 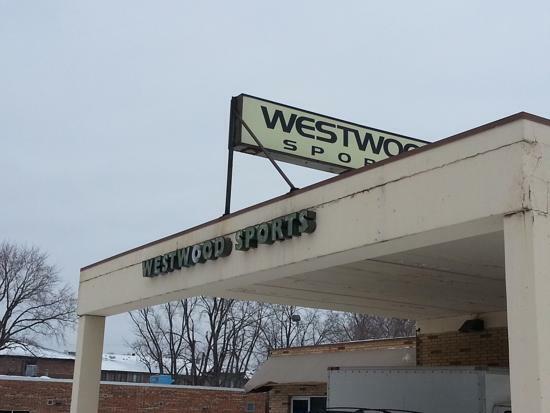 Westwood has become the place to go by offering a level of service that the big box stores can’t match, offering all of the latest products from the major manufactures, at competitive prices. 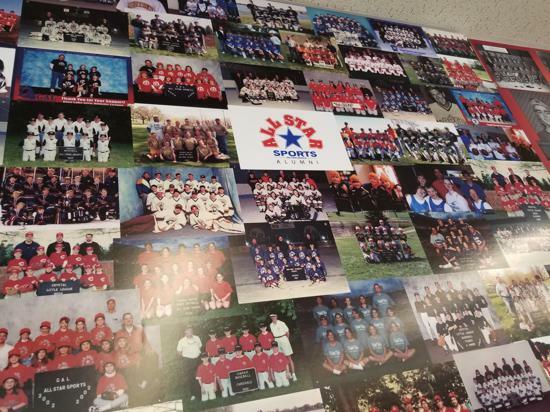 Their commitment to youth sponsorship makes them a unique business within the communities they service. 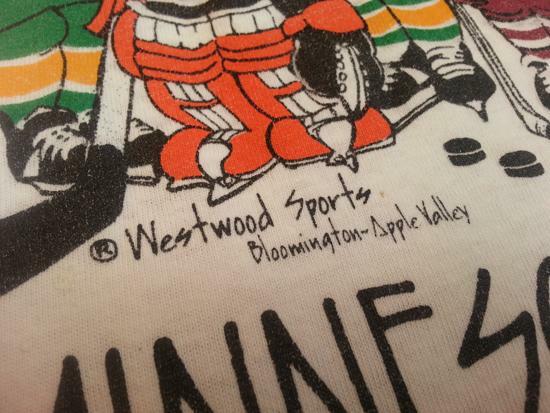 From the very beginning, over fifty years ago, parents have found the Westwood logo on the backs of their kid’s jerseys. 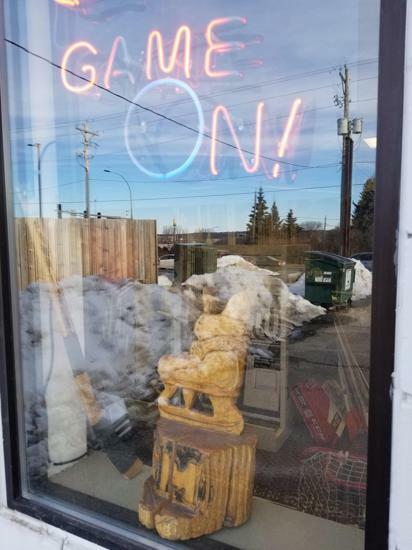 Stop in and check them out. 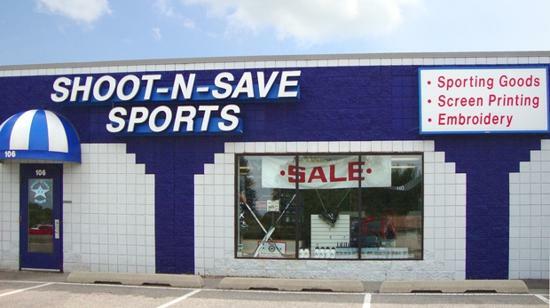 If you are looking for a place with really big TVs and flashy lights don’t bother. 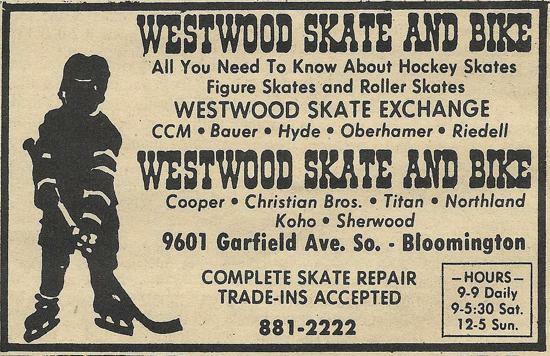 Westwood would much rather take the time to outfit a child correctly and help you understand the purchase being made. 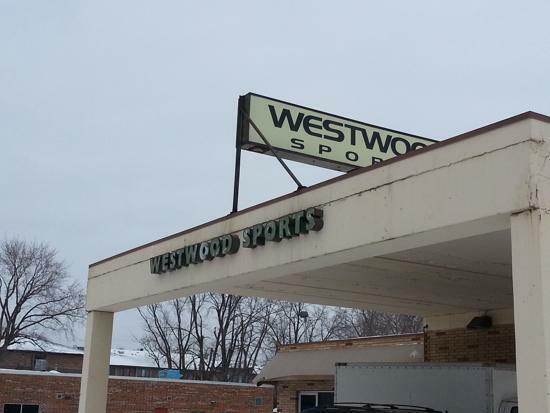 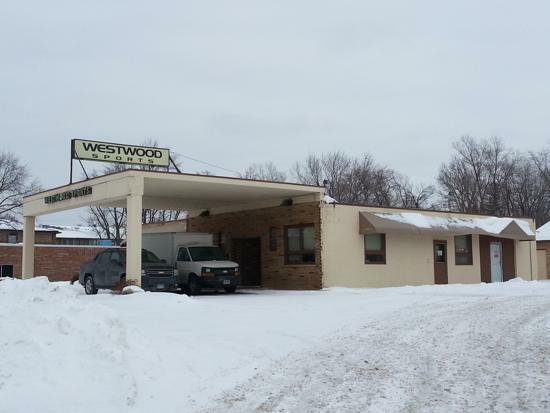 Previously located in Bloomington, MN for 50+ years (images shown), Westood now has x2 convenient locations in Chanhassen and Apple Valley, MN. 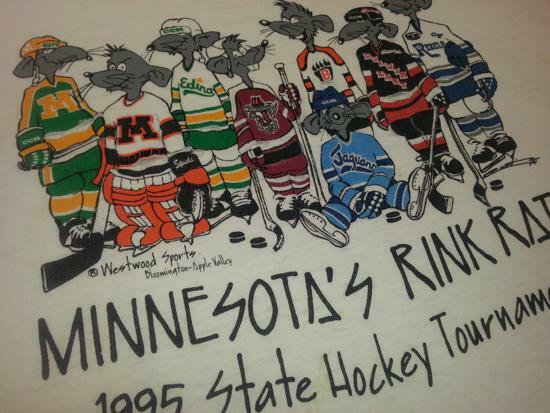 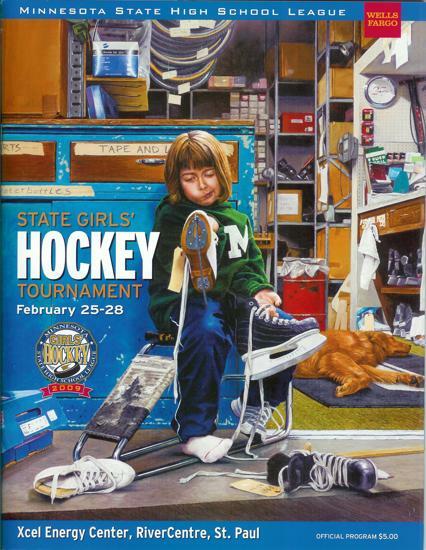 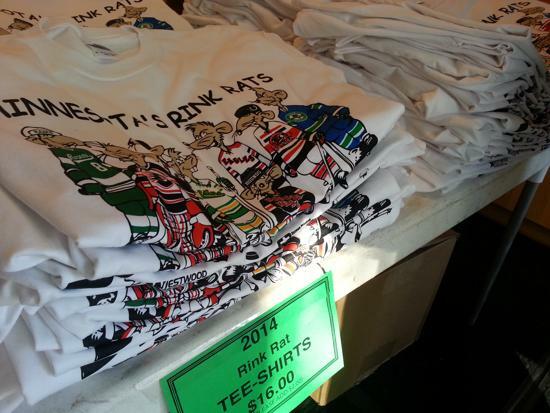 Westood Sports also is the home to the State Tournament "Rink Rats" t-shirts that have become a part of State Tourney folklore each and every year. 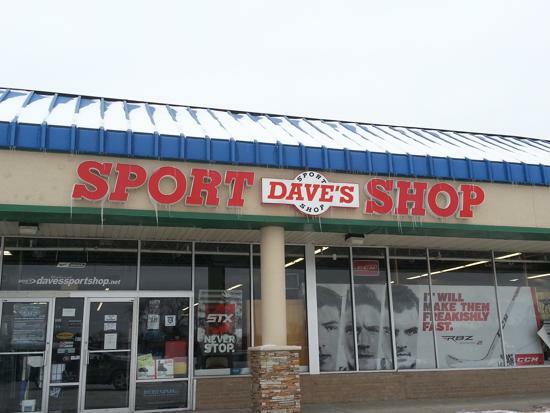 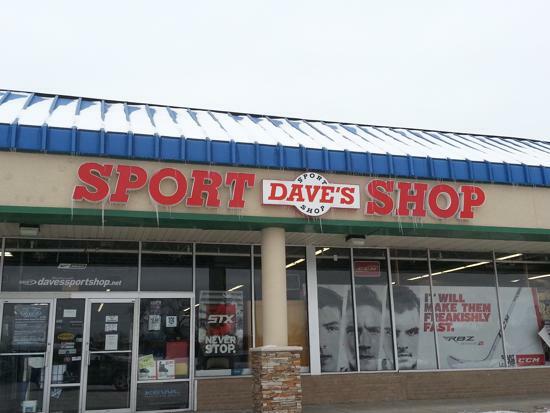 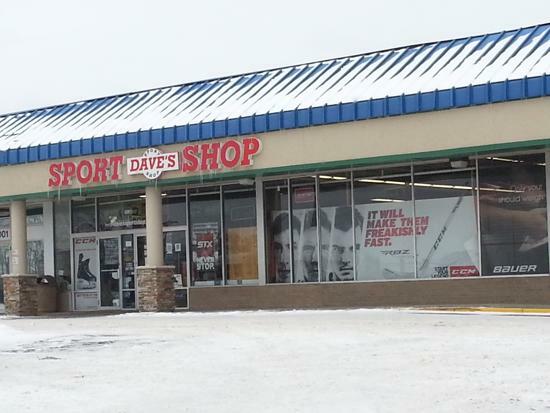 Dave's is a family-owned and operated sporting goods store since 1970 serving the entire Twin Cities. 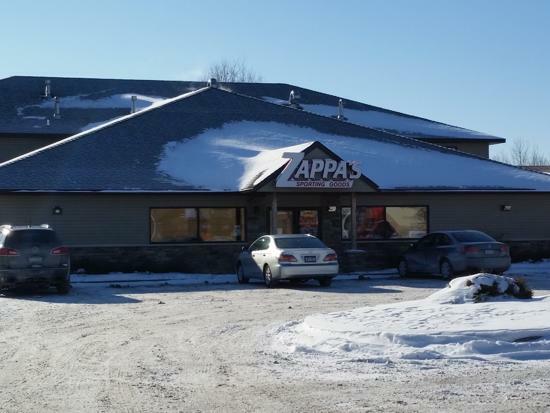 The initial Fridley, MN - Central Ave location has since expanded to Maple Grove, Blaine and Stillwater in that order, for a total of x4 locations. 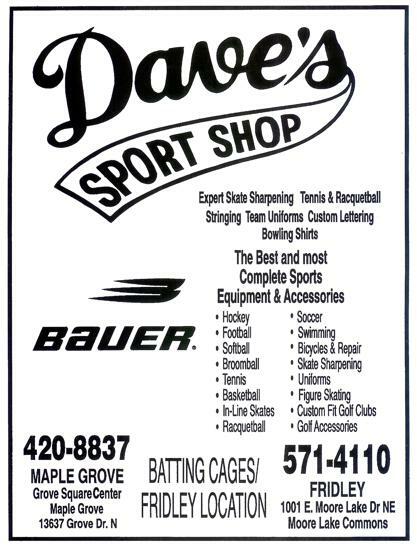 Dave's offers the highest quality sporting goods at great prices, with a modern on-line shopping cart websiteto browse their selection anytime! 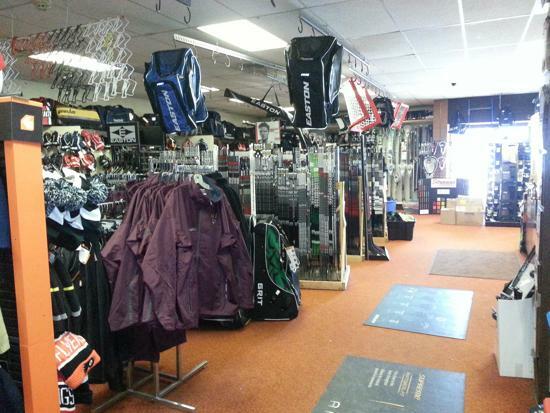 The Twin Cities premier sporting goods store offers top-of-the-line equipment, customized team apparel, state-of-the-art repair shop, and qualified staff to help you. 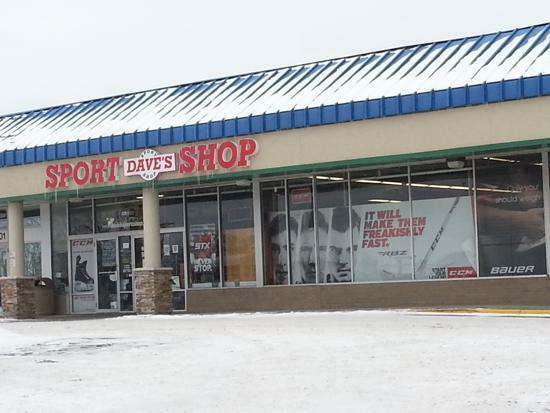 Dave's can help you find the perfect fit to stay within your budget. 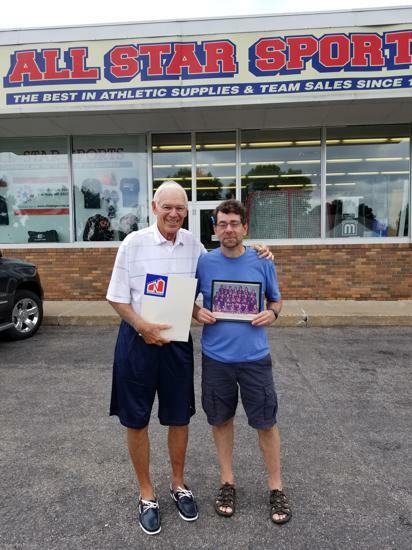 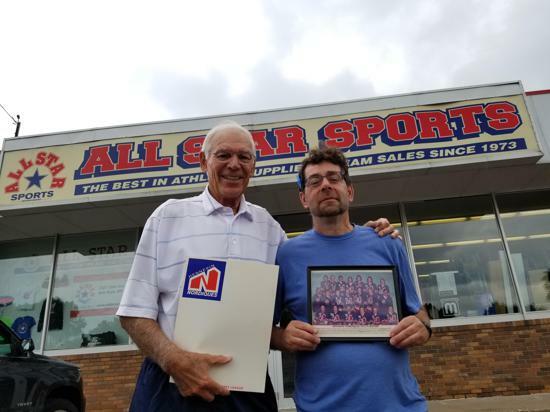 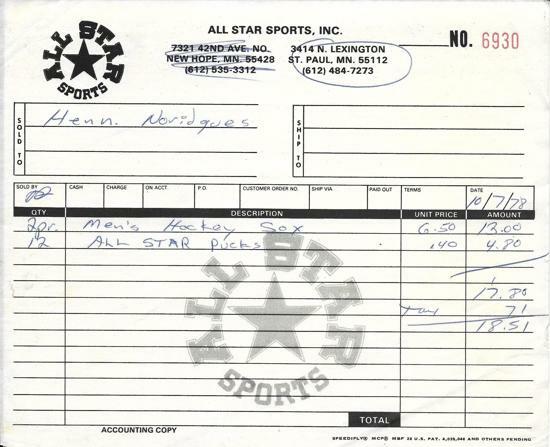 All-Star is a locally-owned/family business that started in 1973 in Crystal on Bass Lake Road by Eveleth, MN natives - Nils 'Sonny' Sundberg - former owner of Hennepin Nordiques USHL team, and former Gopher hockey player Jerry Norman. 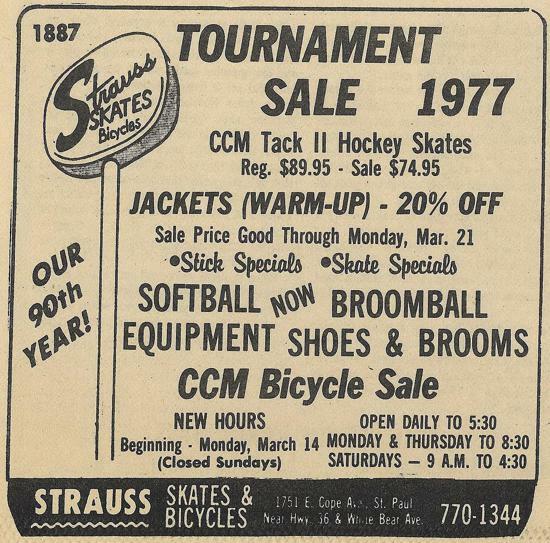 Two years later in 1975 they moved up the street to a new location on Bass Lake Road. 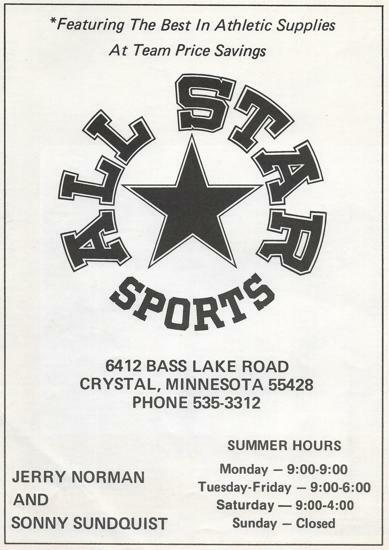 In 1976, All-Star moved to New Hope on County Road 9 where it is operated by Mark Norman. 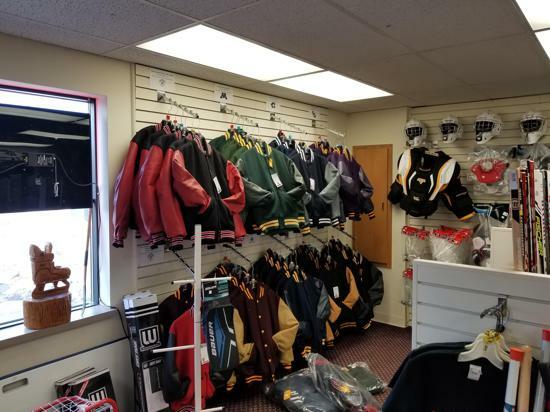 They specialize in baseball, softball, hockey, lacrosse, football, soccer, basketball and many other sports supplying uniforms and equipment. 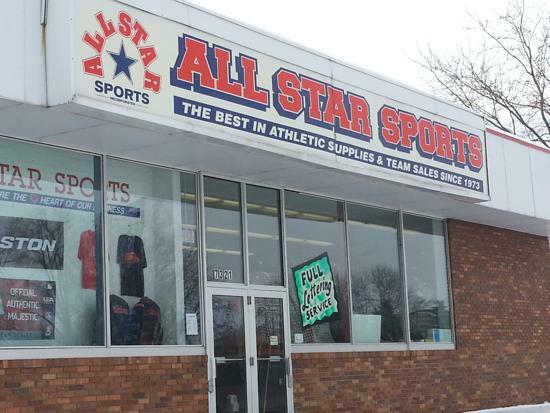 Working with many associations, high schools and colleges, All-Star Sports is very involved in the community and strives to offer great products along with great service. 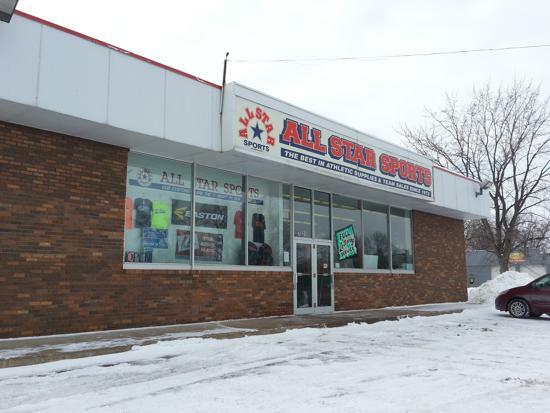 All-Star friendly and knowledgeable staff has a total of 75+ years of experience in the sporting goods industry. 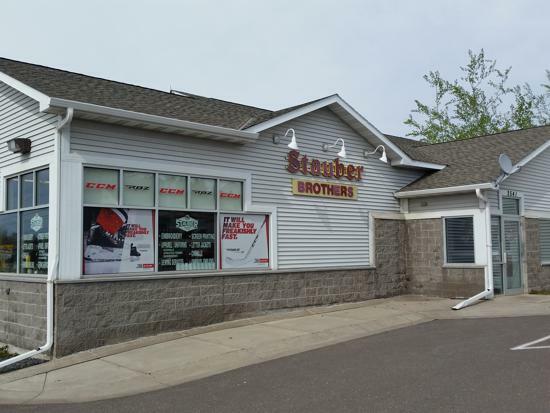 Stauber Brothers Pro Shop & Custom Apparel is owned by six Stauber Brother hockey players all of which were born and raised in Minnesota; John, James, Dan, Pete, Rob, and Bill Stauber. 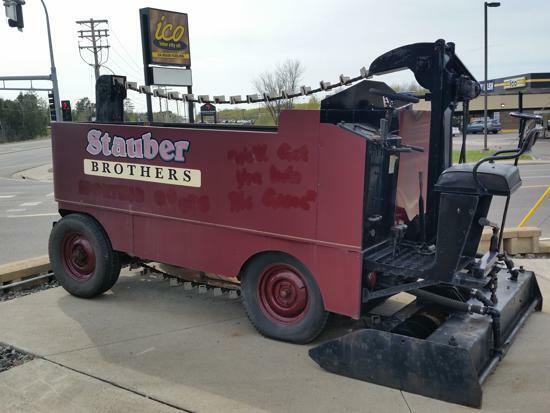 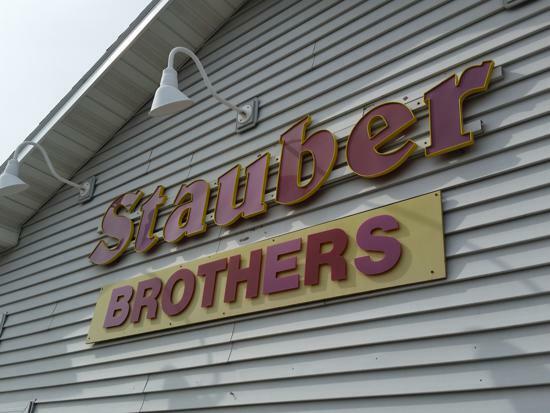 In April of 1990, after a significant amount of planning and preparation, the Stauber Brothers open their doors for business. 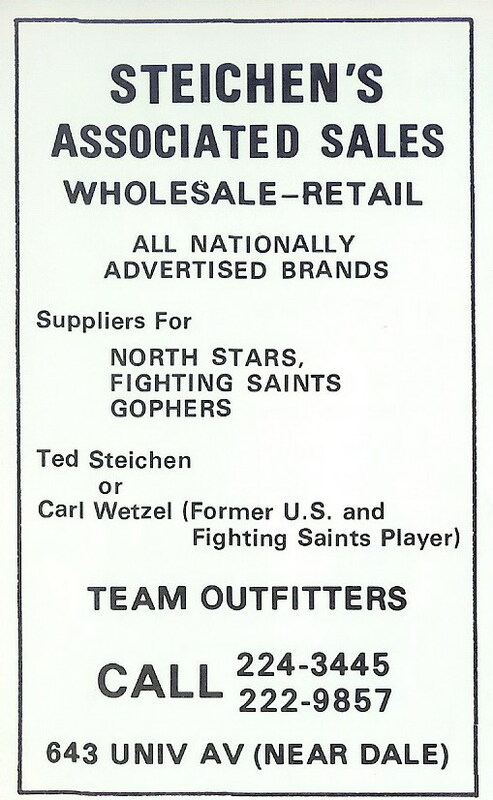 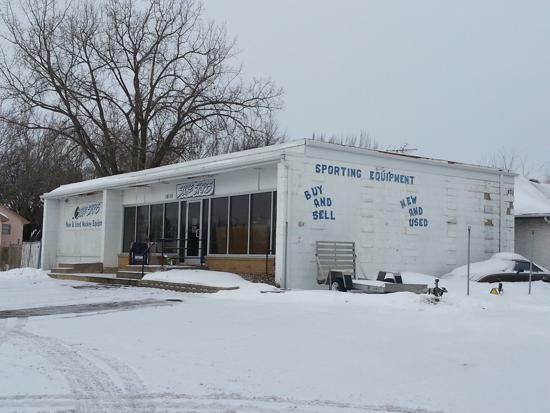 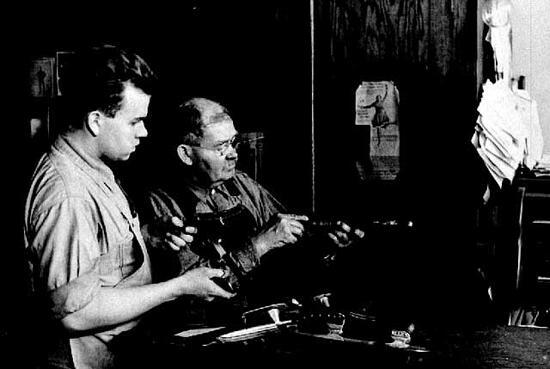 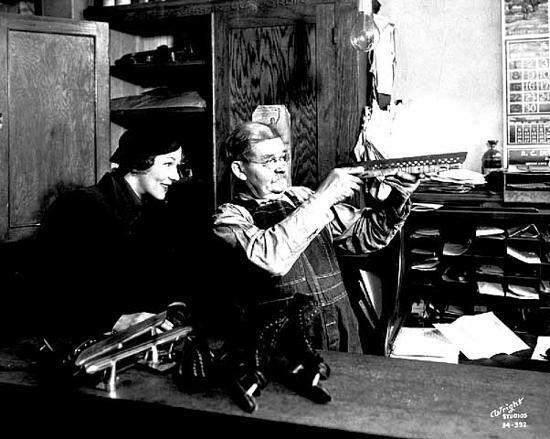 Initially, the business was a Team Choice Sporting Goods dealership that was headquartered out of Hopkins, Minnesota. 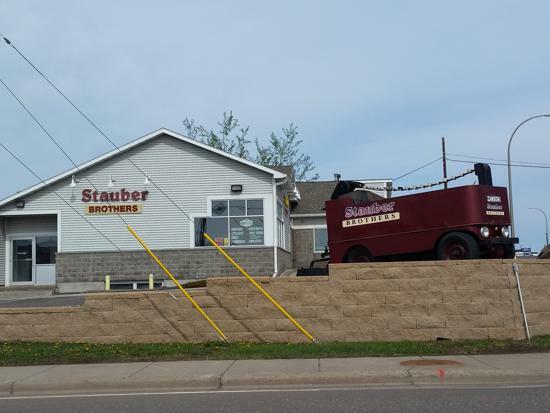 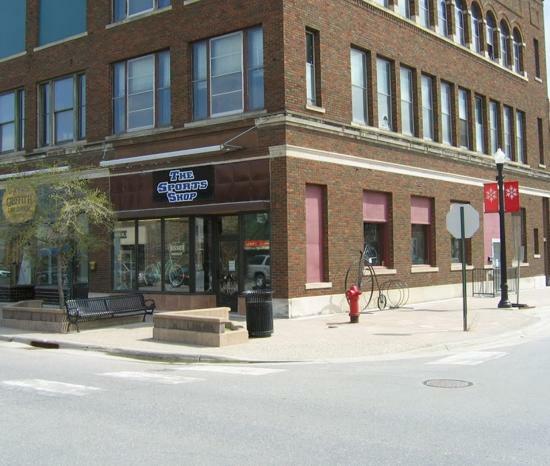 The store was located in Duluth’s Burning Tree Plaza and called Stauber Brothers Team Choice. 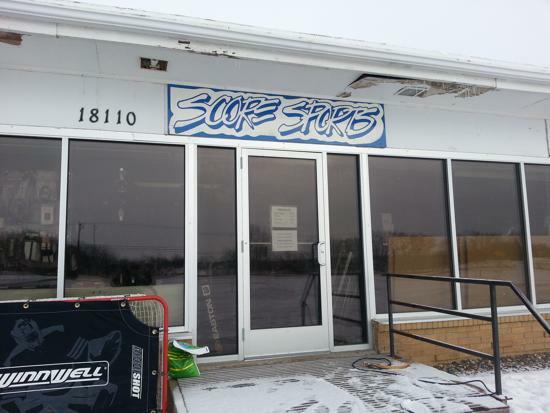 In 1993, Corporate Team Choice ran into financial difficulties and was forced to close its’ doors. 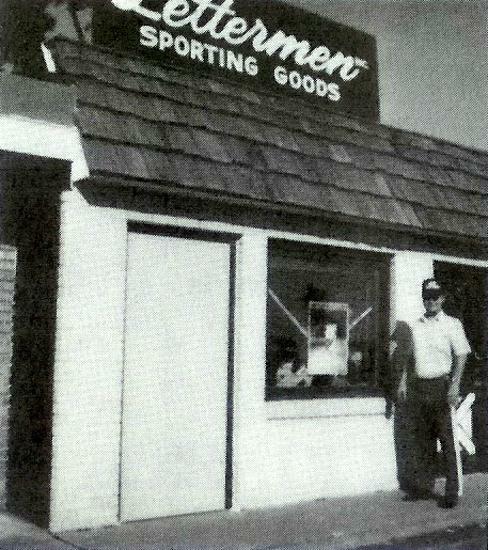 The Stauber Brothers, however, broke away from Team Choice and in 1995 moved to their current location at 2541 Maple Grove Road and assumed the name Stauber Brothers Sporting Goods. 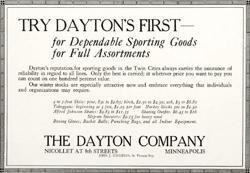 At that time they were an all line athletic sporting goods retail company. 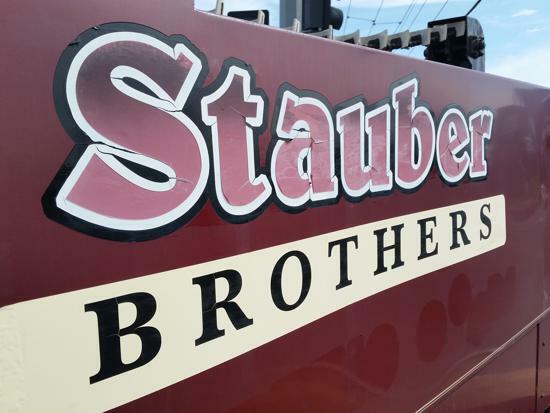 Today, the company continues to evolve in its efforts to service the dedicated customers who call Stauber Brothers their home. 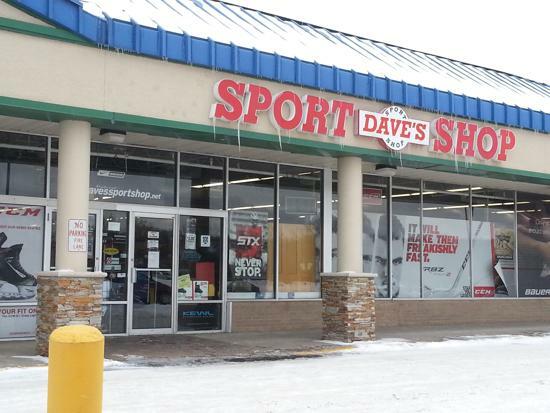 Competition from huge internet retailers and “box” retailers, have helped mold the company into its current structure. 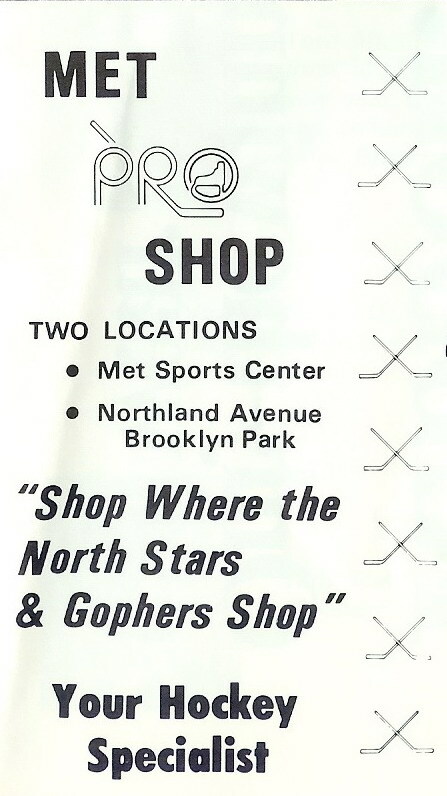 Now called Stauber Brothers Pro-Shop and Custom Apparel, the brothers and their loyal employees, who are all very active in the hockey community, dedicate their efforts on providing exceptional customer service and products to the hockey world and to the vast custom apparel needs of any organization, association or business. 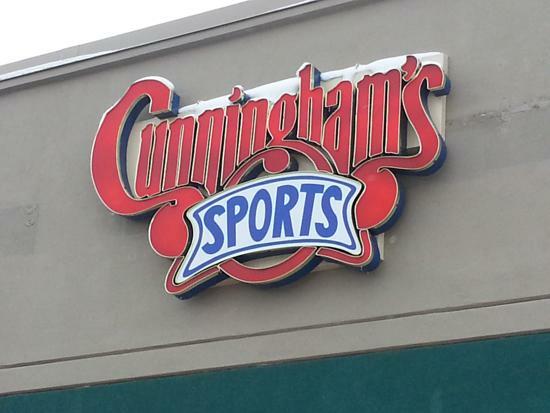 Cunningham's has provided their customers with quality and affordable sporting goods, embroidery, monogramming, tackle twill, screen printed apparel and team clothing for over 30+ years. 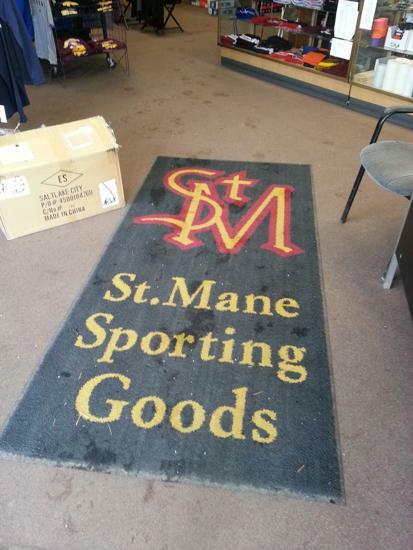 The capabilities range from helping to design a logo for printing, to embroidering your customized artwork. 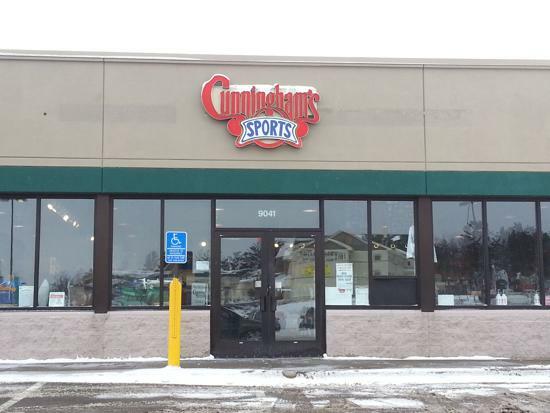 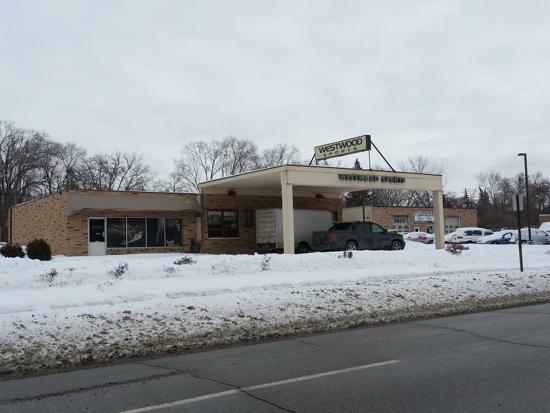 For 30+ years Cunninghams was a South St. Paul family owned and operated business, until their recent re-location to their current Inver Grove Heights location. 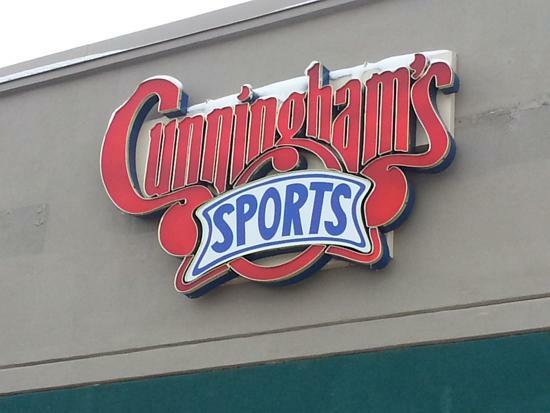 Still owned and operated by the same family, Cunninghams motto is: No matter the game....there's only one name! 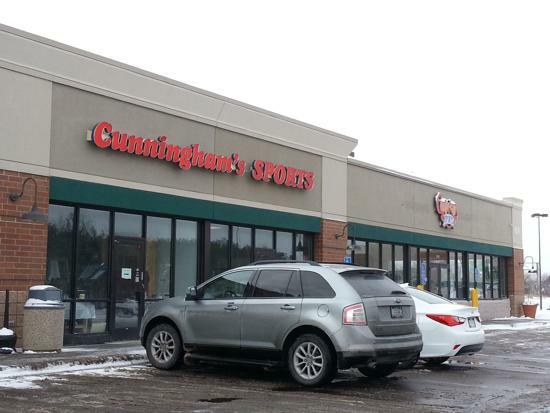 Cunninghams is also well known for being the official lettering company of the Minnesota Wild game-worn uniforms for the teams first 8 seasons in Minnesota from 2000-2008. 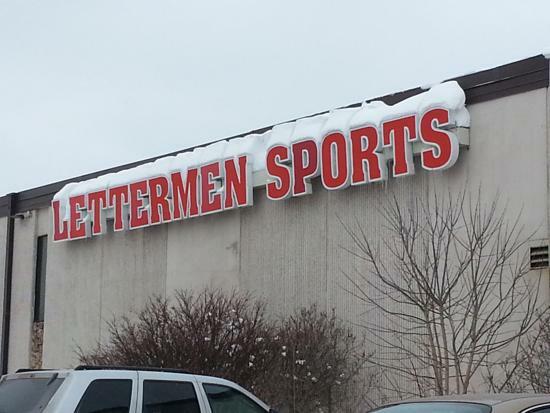 Lettermen's is a family-run, locally owned and operated business for over 25 years. 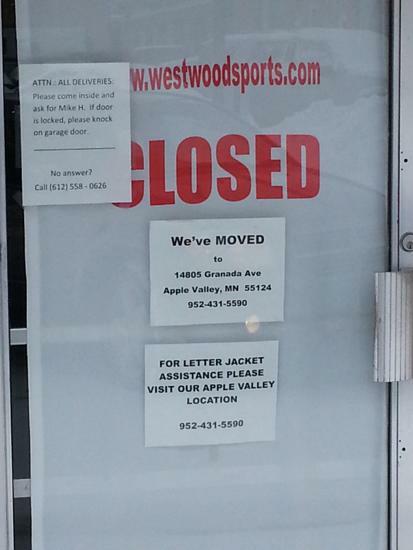 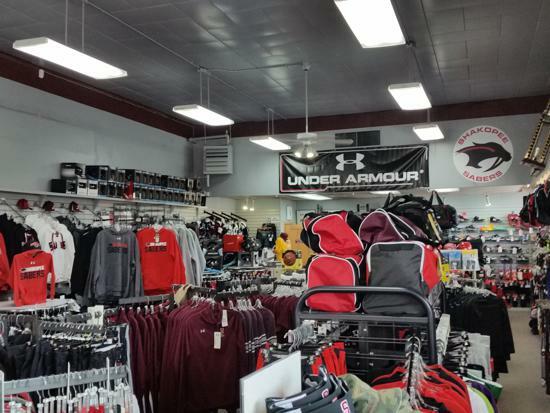 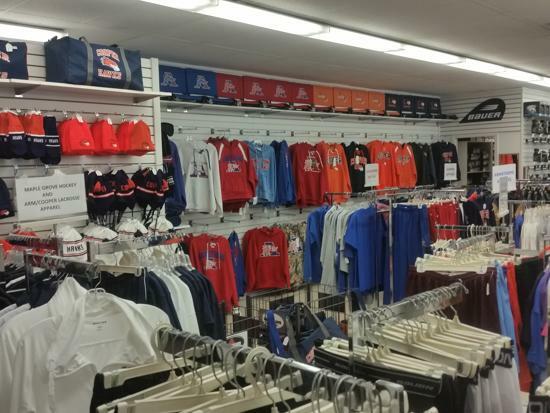 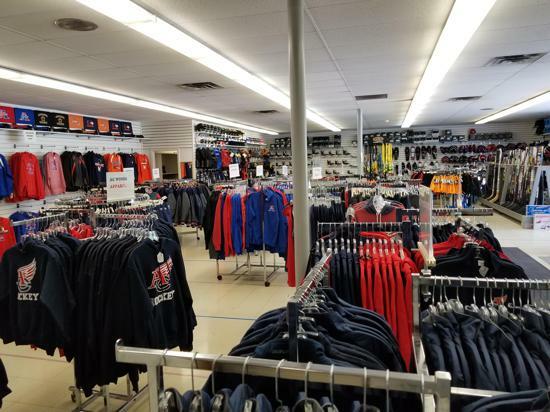 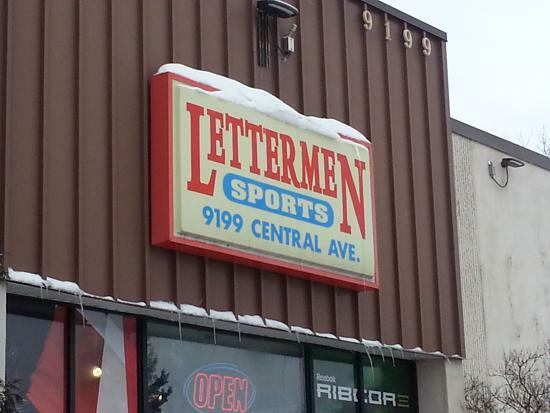 Founded in 1982 by Ronald Haenze, Lettermen Sports has moved from it's original location to a new 21,000 square foot building in Blaine, MN and features a sports specialty shop. 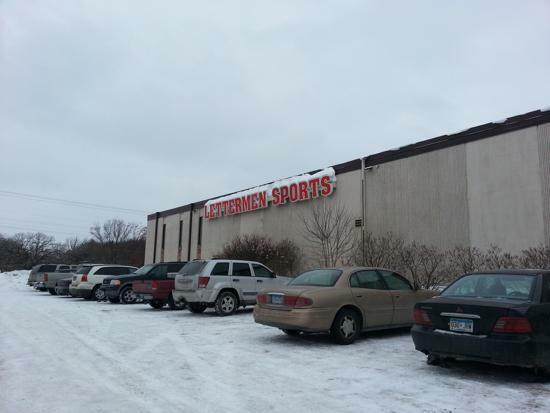 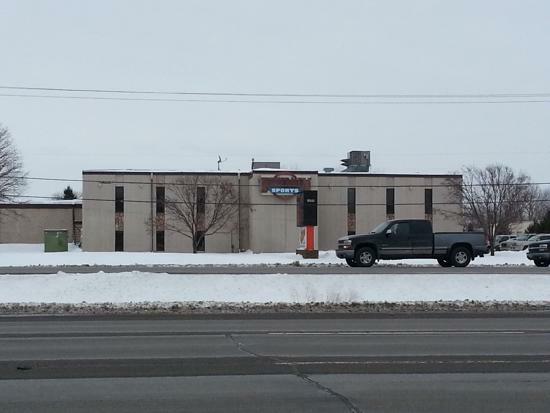 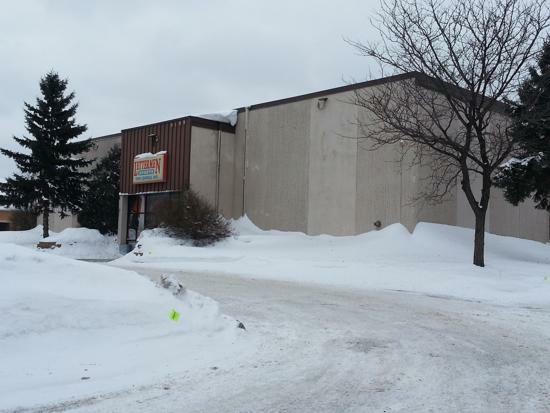 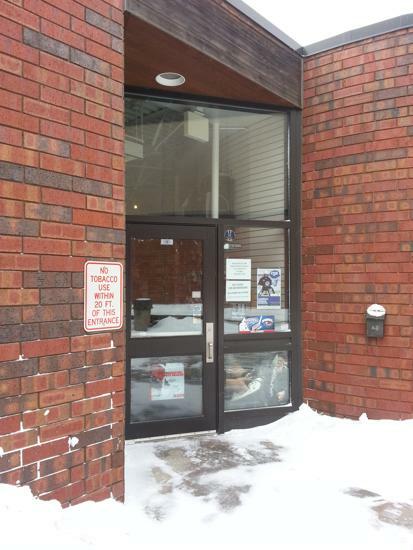 Lettermen additionally has a second location in Plymouth, MN near the busy Plymouth Ice Arena. 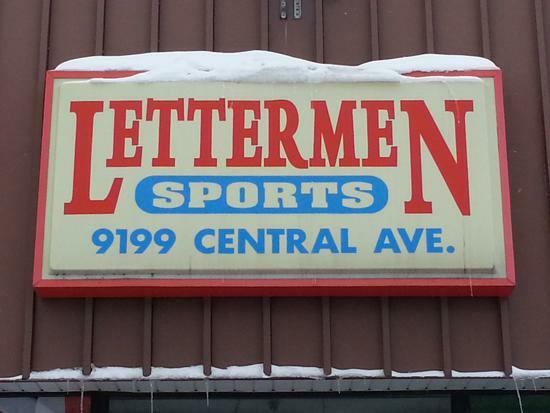 With a strong connection to the community - Lettermen strives to offer only the best products and services, from hockey equipment to letter jackets and team apparel. 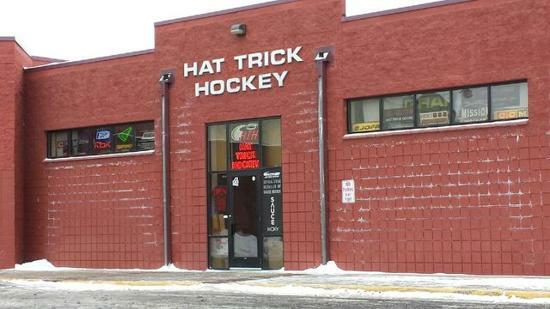 Hat Trick Hockey is a locally owned and operated family based business serving the Twin Cities hockey community for 37+ years. 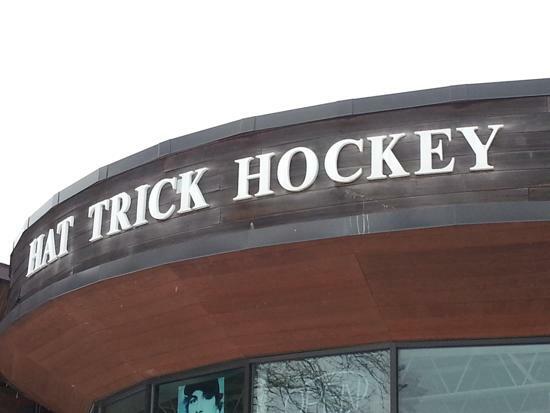 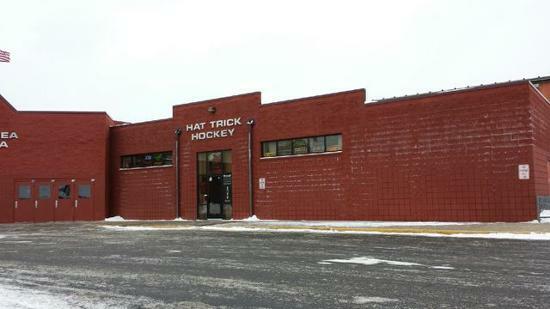 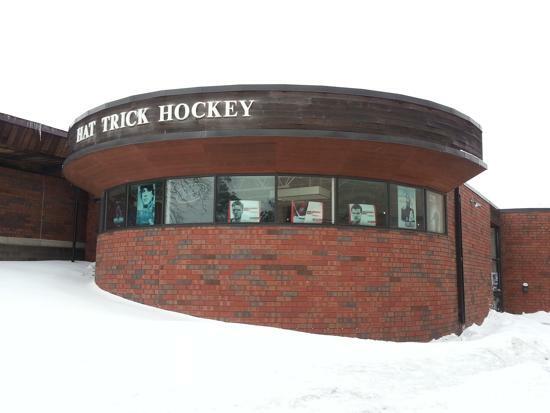 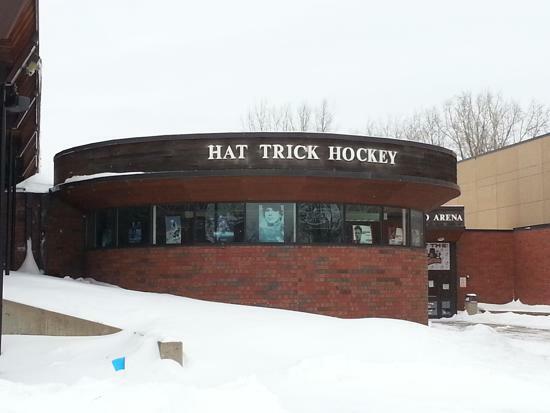 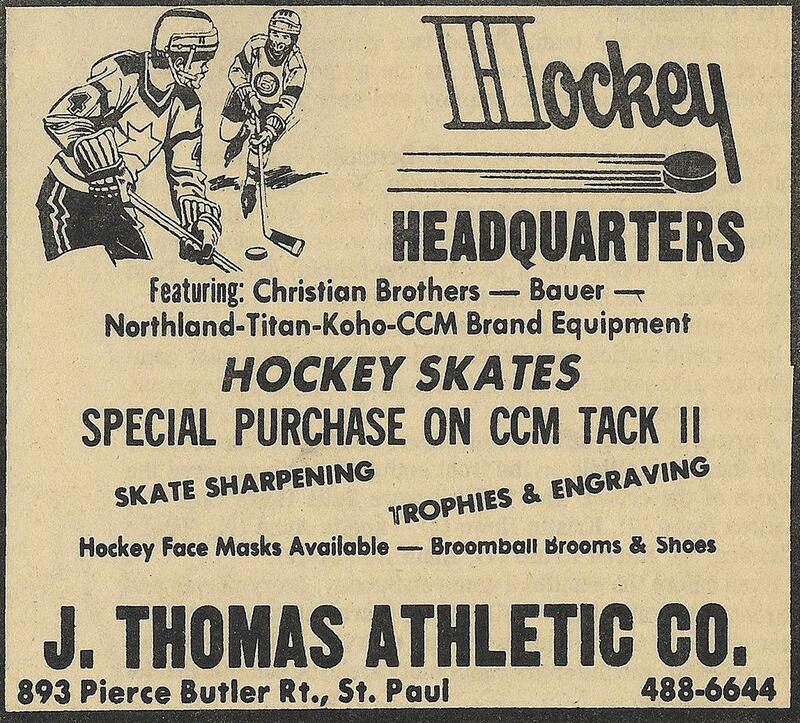 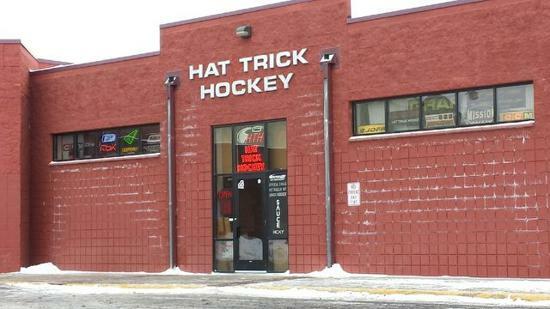 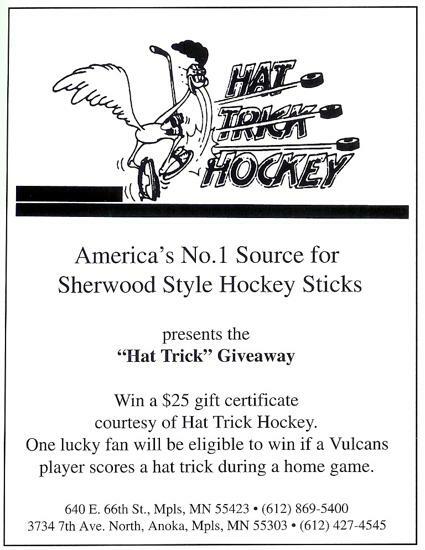 Located originally in an older convenience store since 1977 across the street from Richfield Ice Arena, Hat Trick Hockey moved within the rink in 1995. 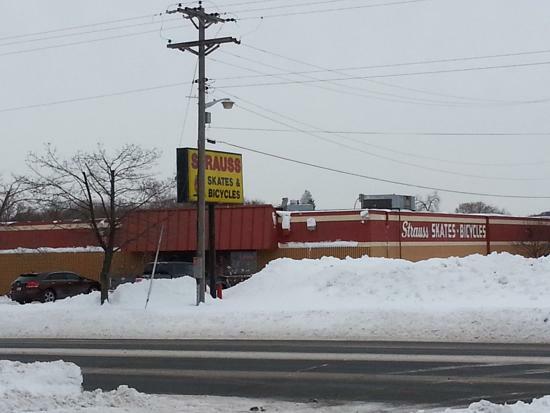 "The old convenience store no longer exists as it was torn down" said owner Steve Sachs, whose father Tom Sachs started Hat Trick Hockey. 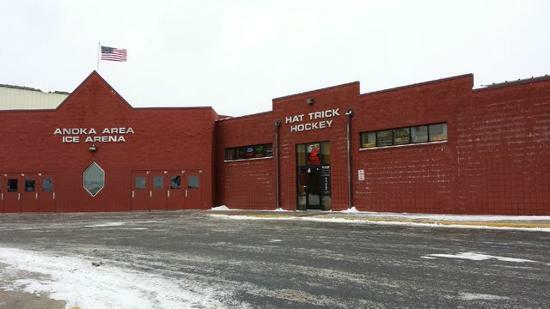 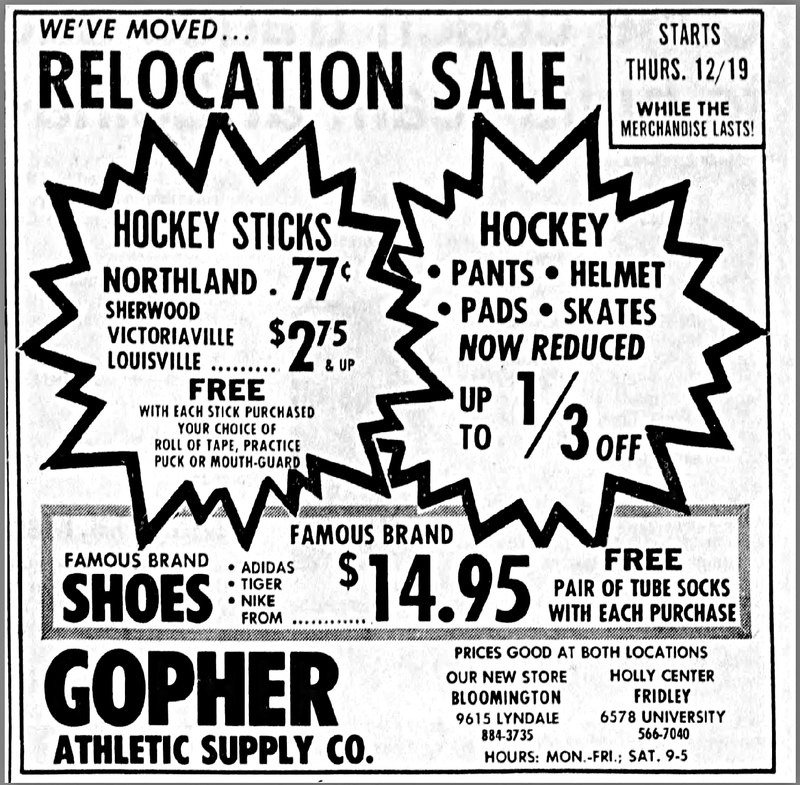 Known as Hat-Trick I today, the original Richfield location expanded to the Anoka Arena by owner Randy Reed - whom worked for Tom Sachs previously in 1991. 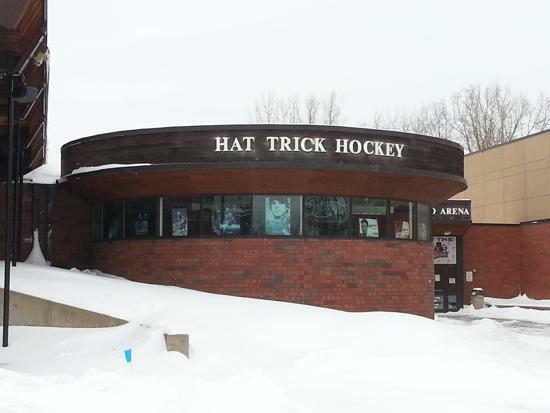 The Hat Trick in Anoka is namely called Hat Trick II as well. 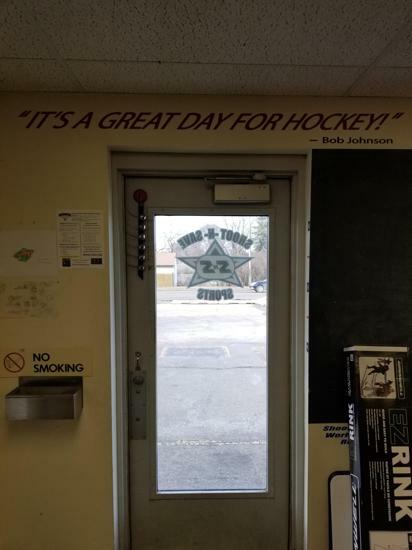 Both owners today in Steve and Randy, operate a great business that is HIGHLY convenient to Spartan (Richfield) and Tornado (Anoka) youth hockey, as they are both nestled within the ice arenas if you forget a mouth guard, or roll of tape at home! 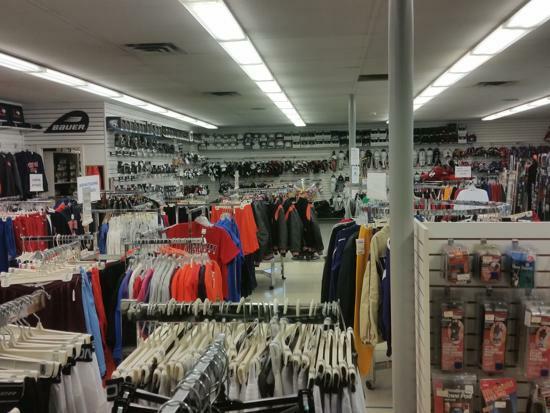 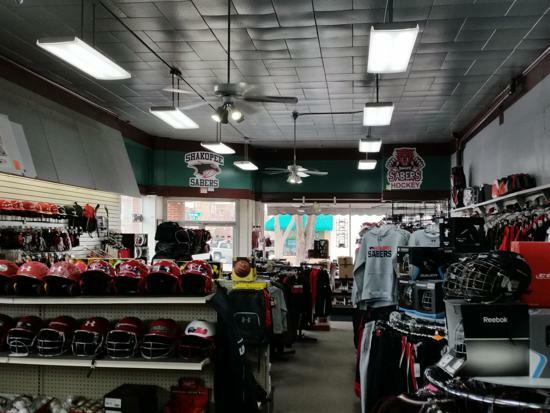 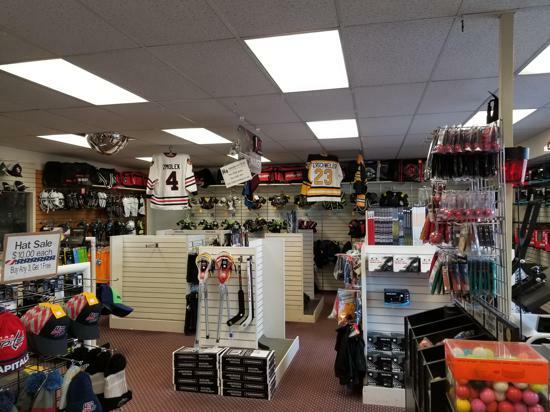 Score Sports is a locally owned and operated sporting goods store offering new and used equipment for sports such as hockey, golf, baseball, soccer and football. 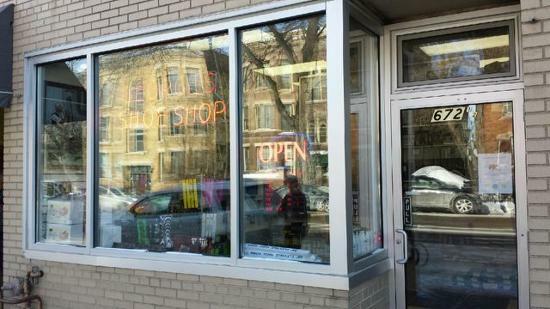 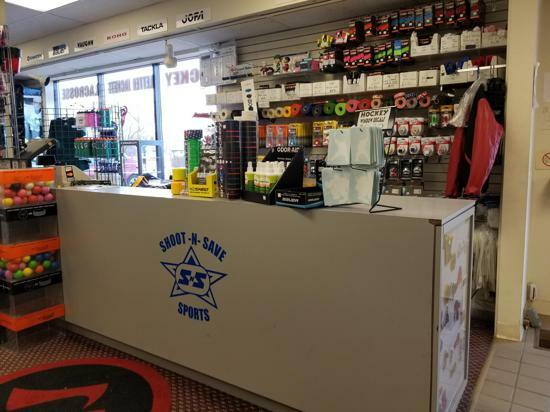 The small family store was formerly a bait and tackle shop and - was purchased & converted to Score Sports by the current owner in 1995 - is packed with great equipment at low prices. 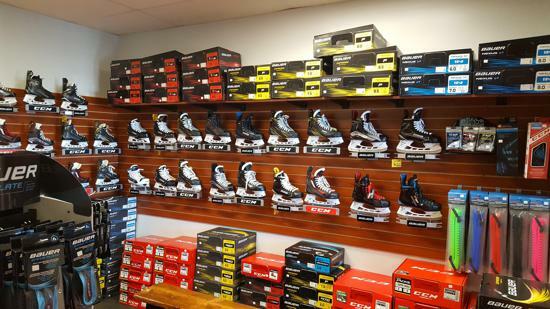 Score Sports also offers skate sharpening for hockey and figure skates, and carries team-specific apparel and jerseys with brands such as Reebok, Under Armour, Rawlings and Easton. 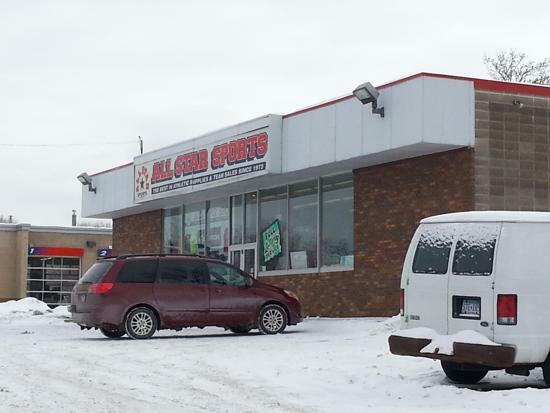 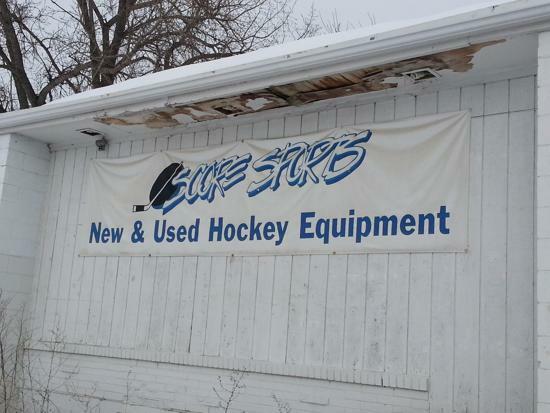 Stop in to Score Sports today to check out their large used skate selection located directly off of Highway 55 in Plymouth, MN. 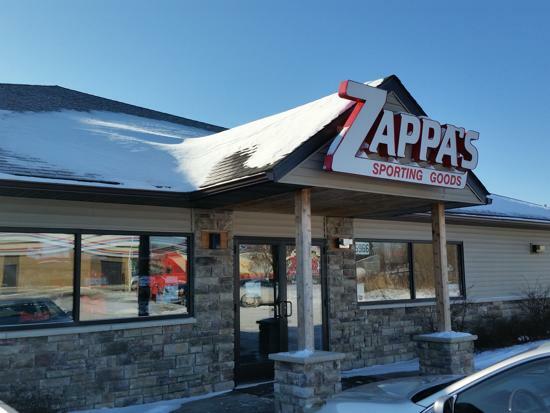 Zappa's is a locally owned and operated specialty sporting goods shop located just outside of historic downtown White Bear Lake, Minnesota and services White Bear, Forest Lake & Mahtomedi Hockey Associations. 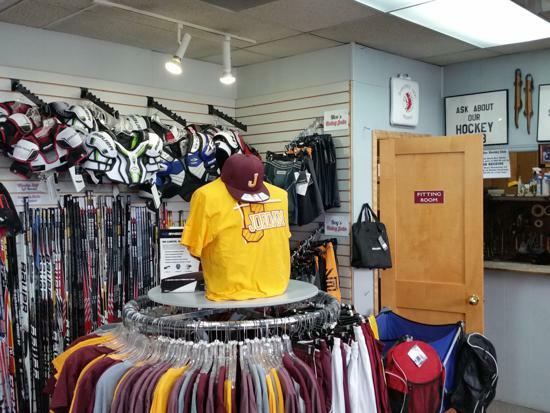 Primary lines are hockey equipment, lacrosse, baseball, soccer; they also sell footwear, accessories, and apparel. 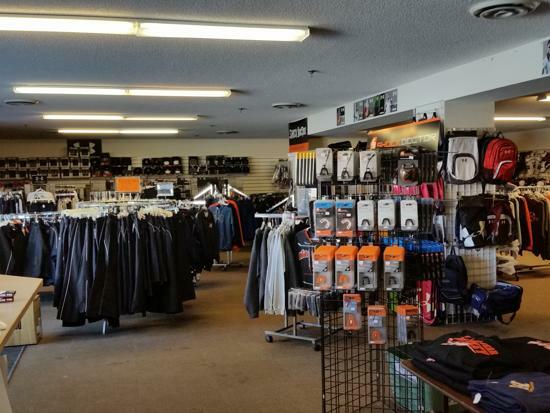 Skate repair services are available, including an internal batting games that are available for rental during the chilly winter months, and expert skate sharpening - servicing the legendary White Bear Lake Bears hockey program. 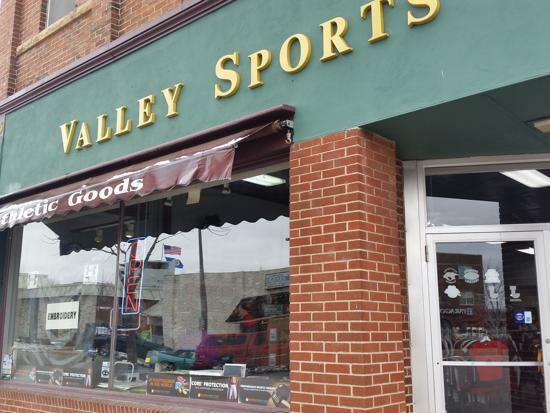 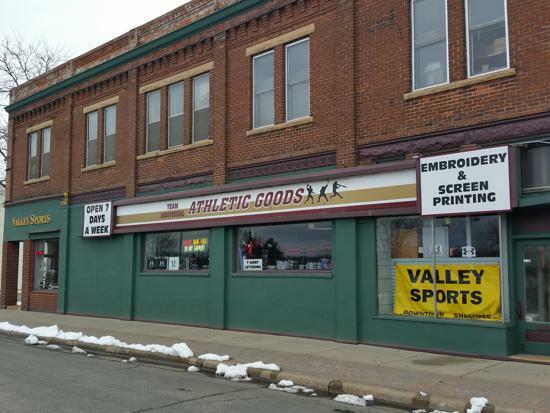 Valley Sports is "Your Home Town Sporting Goods Headquarters, for Your Athletic Best" and is locally owned and family operated since 1977. 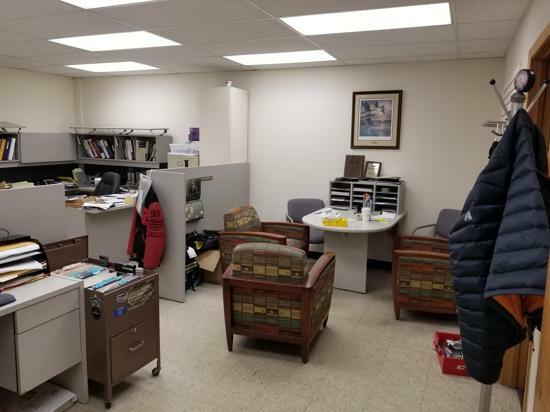 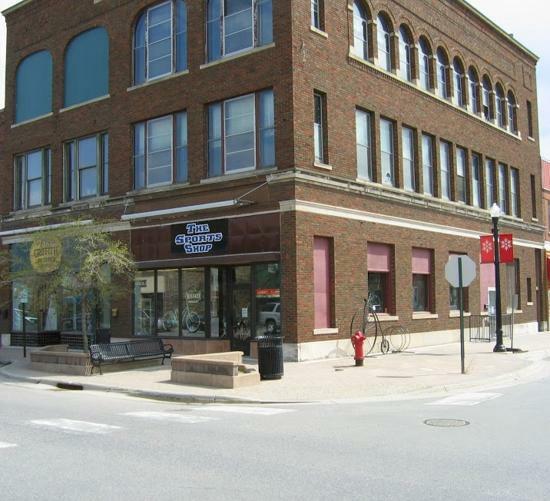 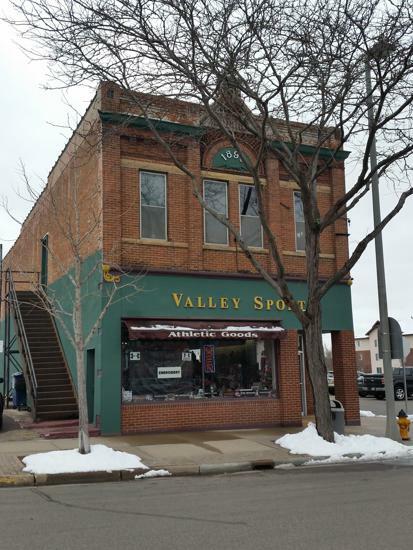 Located within the historic downtown area of Shakopee, Minnesota within a 1896 building that "once housed several businesses including a corner pharmacy before", said Tony Jansen, owner and operator. 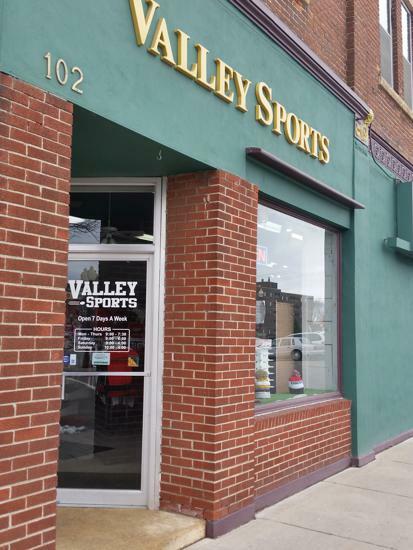 Valley Sports specializes in hockey and figure skating equipment, soccer, baseball and softball, team and corporate apparel. 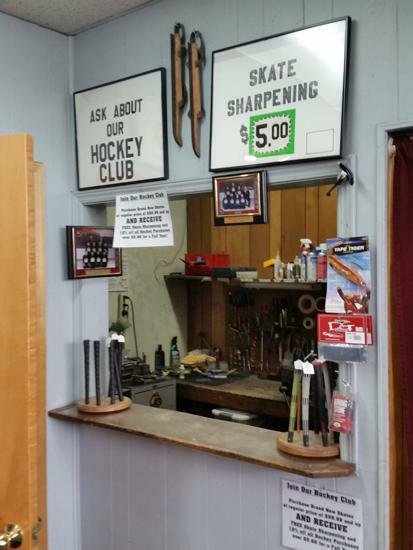 On-site expert skate sharpening services are available including re-gripping golf clubs, and re-lacing baseball gloves on-site. 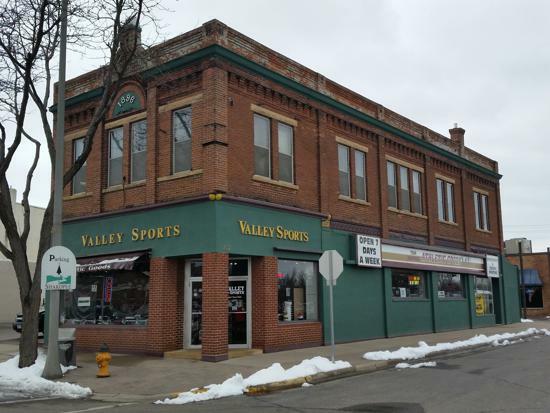 Valley sports services the entire Shakopee Sabers hockey program, and the Jordan community. 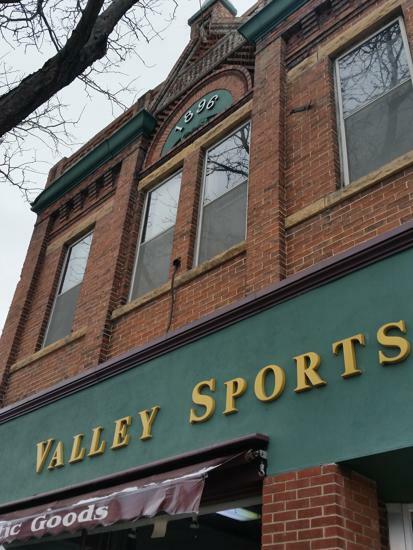 Valley Sports truly is a treasure to visit, and surely has that home-town feel within the walls of this 119+ year-old building! 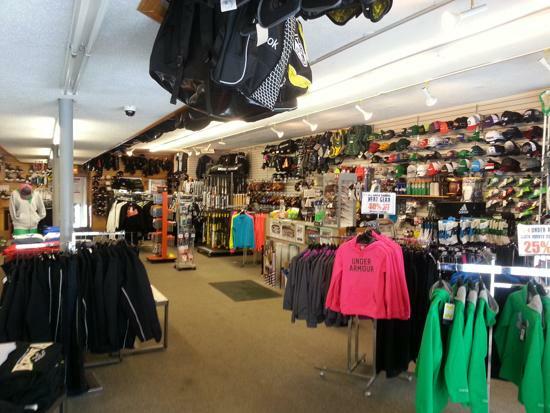 The Sports Shop is a locally owned and operated specialty sporting goods shop located in International Falls, Minnesota. 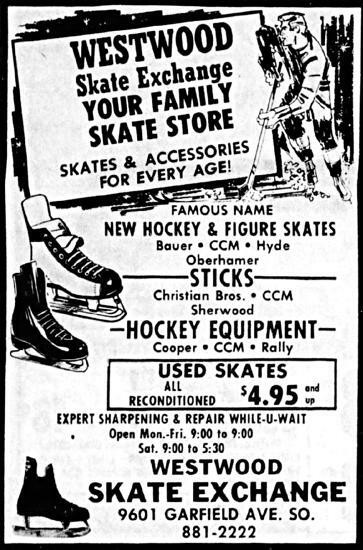 Primary lines are hockey equipment and bicycles; they also sell figure skates, in-line skates, baseball equipment, skateboards, and Oakley Eye-ware. 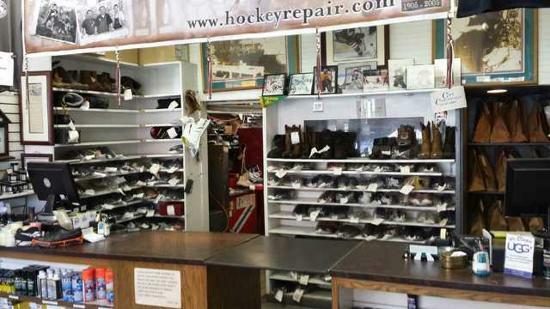 Skate repair services are available, including expert skate sharpening servicing the entire International Falls Broncos hockey community. 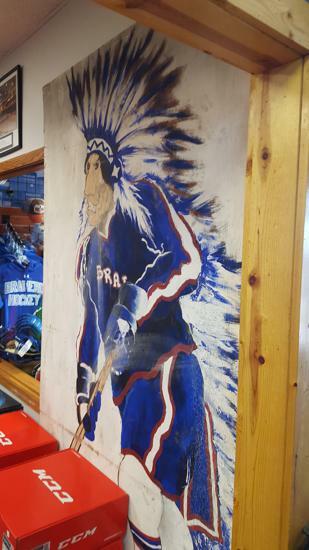 Brainerd Hockey House is a family owned and operated business by owner Dan Anderson & is Warrior H.S. 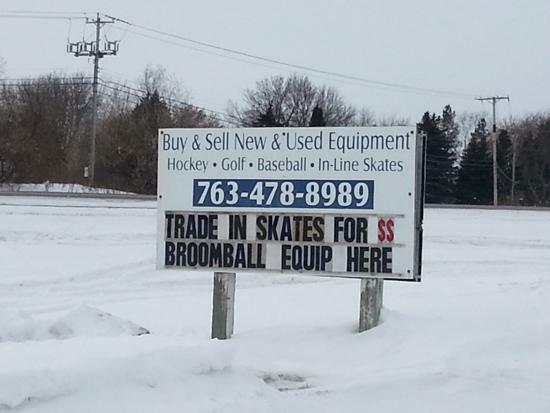 source for hockey and sporting goods. 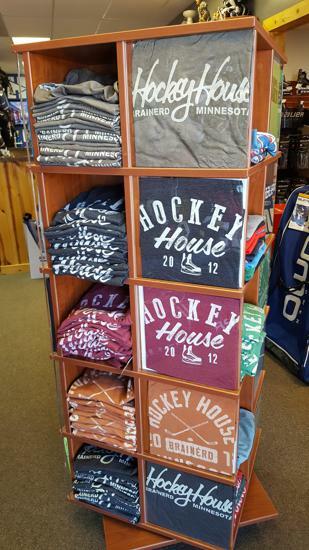 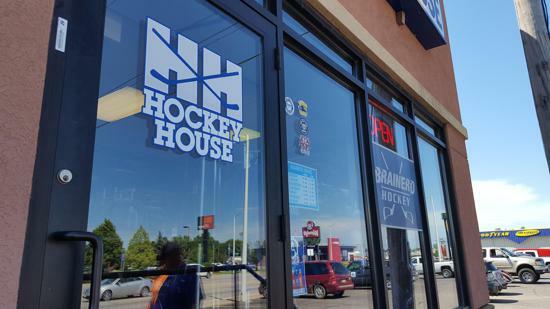 House House is Brainerd Lakes Area, and Minnesota Hockey Camps/Hearland Hockey Camps home premier store for sporting goods, including hockey skates and accessories, as well as some custom Hockey House swag, and top of the line skate repair and sharpening. 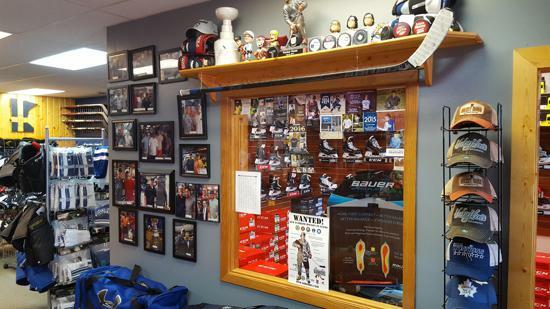 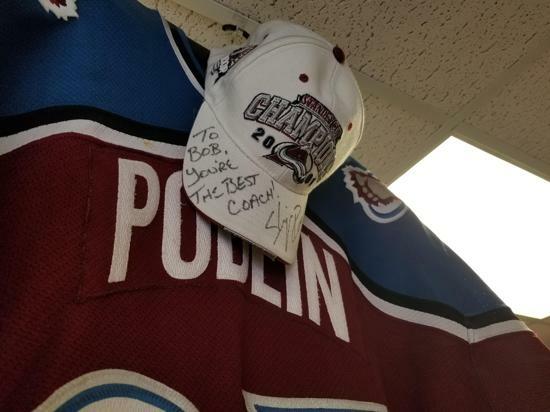 Dan, and his staff have a passion for the history of the game, and his "wall of fame" of NHL, and Collegiate alumni whom have stopped into the shop to say hi, along with Lord Stanley's Cup that once was in his shop are his testament to everything Minnesota hockey, one you can't find elsewhere in the Lakes Area! 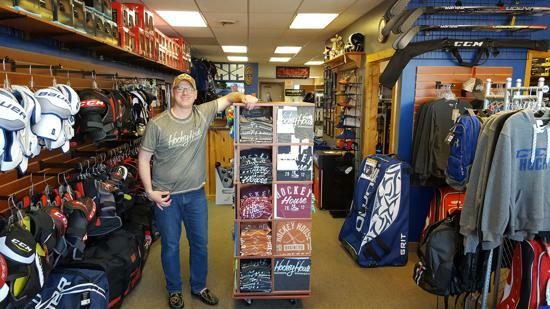 The Anderson family intention when they started HH venture was to provide customers with the highest quality hockey products and knowledge with the personalized customer service that you’d expect in a specialty store. 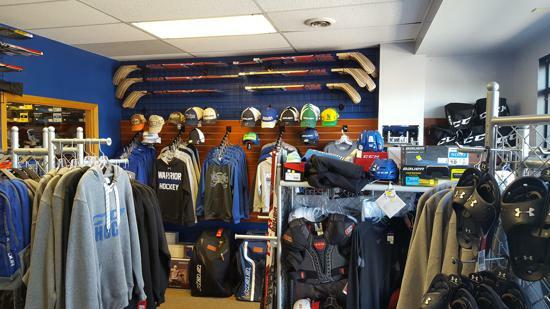 From the beginning skater to the elite professional, they want all players to feel at home in their store. 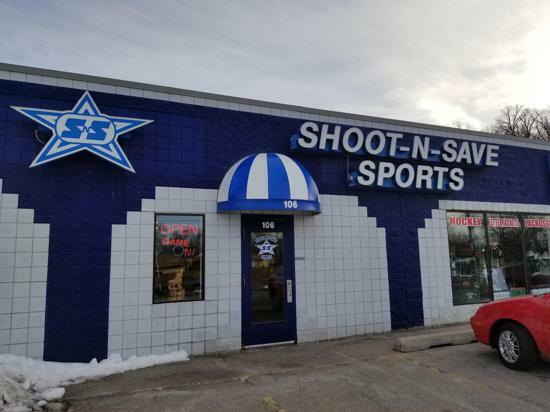 Shoot-n-Save Sports is a family owned and operated business by owner Bob Frerker & is Rochester's source for hockey and sporting goods. 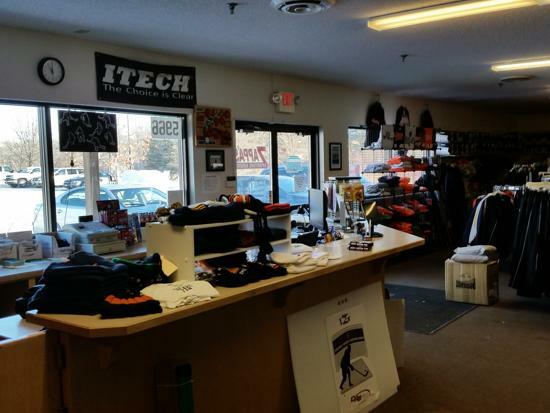 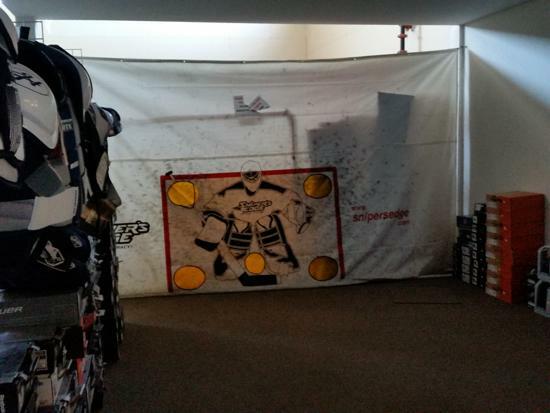 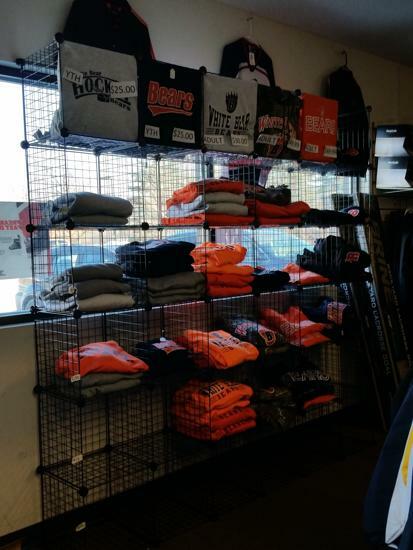 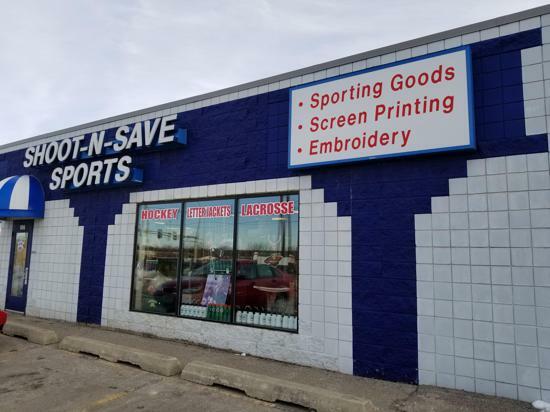 Shoot-N-Save is southern Minnesotas premier store for sporting goods, including hockey skates and accessories, inline skates, lacrosse as well as screen printing and custom embroidery. 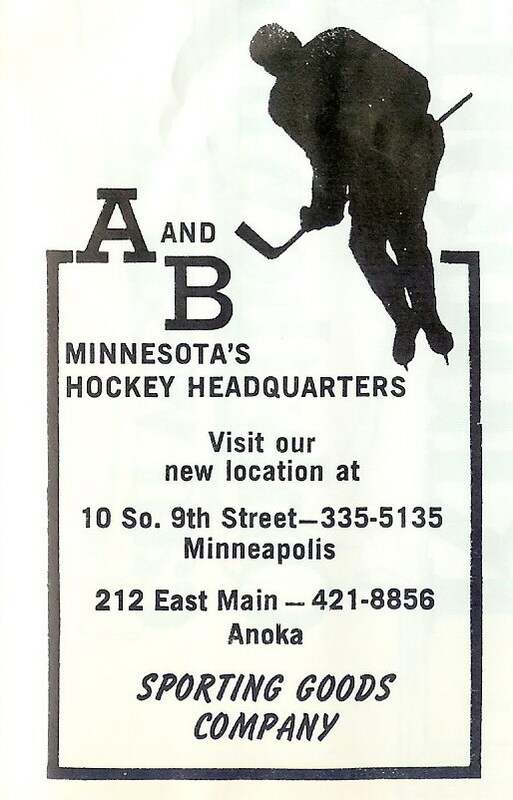 Bob Frerker and his staff have the "knowledge of the game of hockey and they provide a personalized experience that you can't find elsewhere in Minnesota".